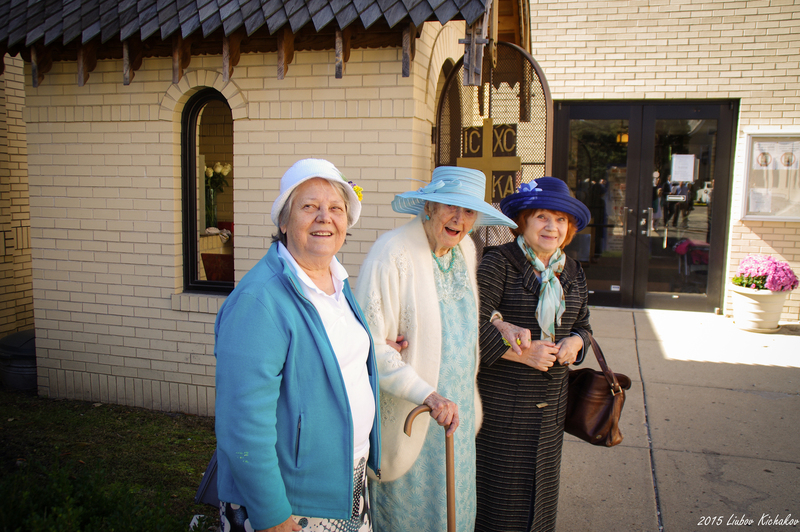 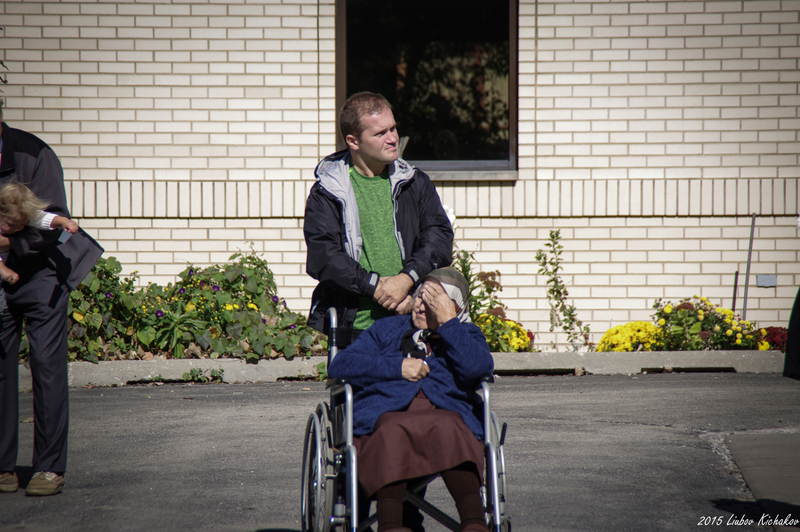 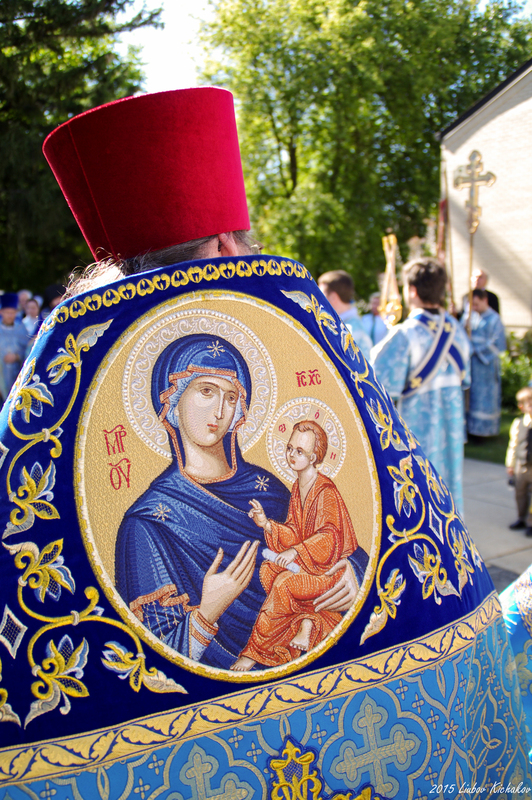 October 1/14 annually marks the feast of the Protection of the Mother of God and the patronal feast of the Diocesan Cathedral of the Diocese of Chicago & Mid-America. 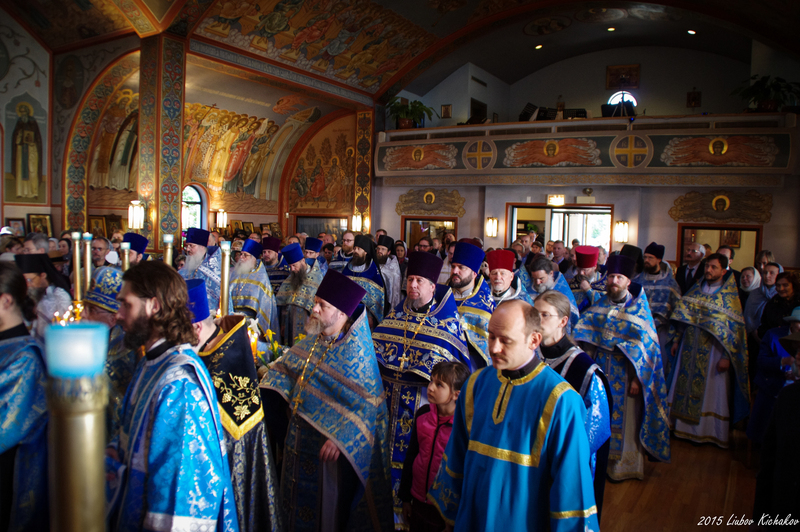 On this day the diocesan clerical brotherhood, in addition to a multitude of laity, gathered in preparation for the triennial Diocesan Assembly which is slated to be held in Des Plaines, IL October 15-17, 2015. 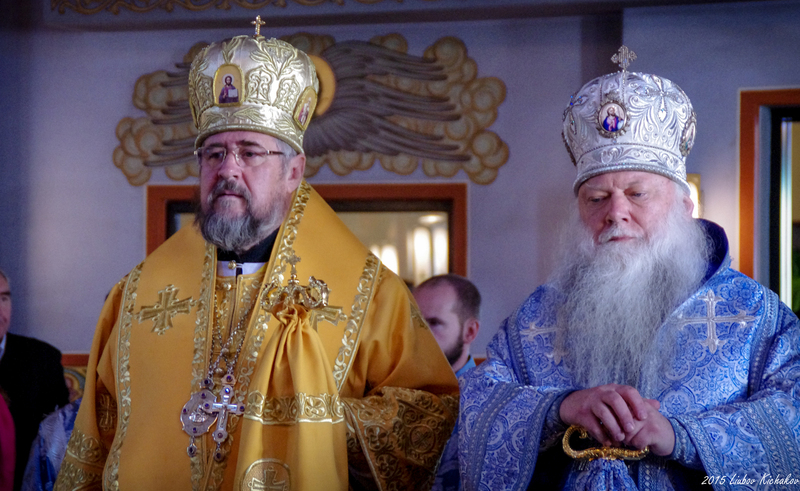 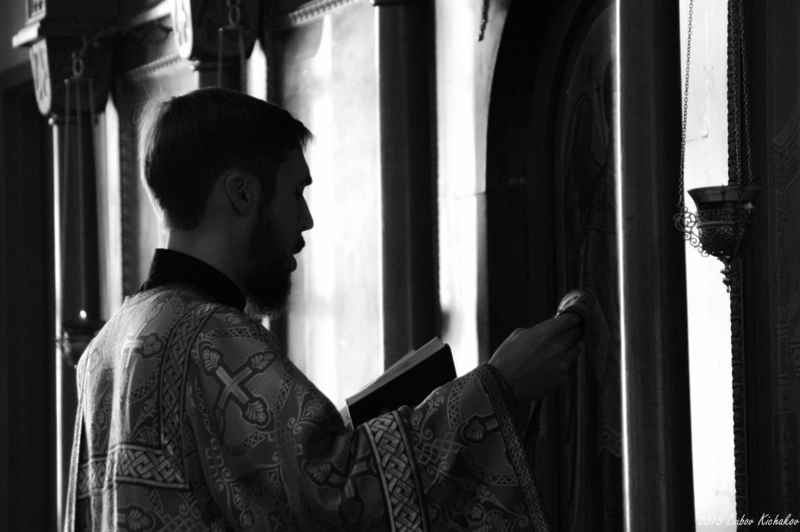 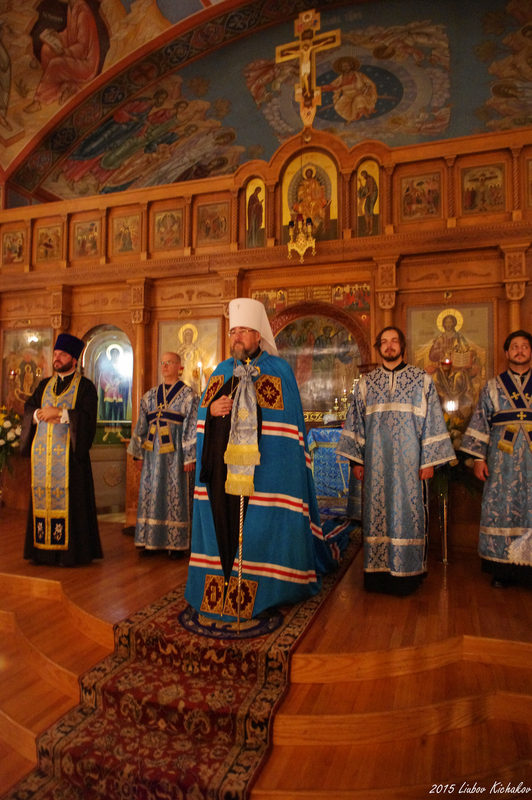 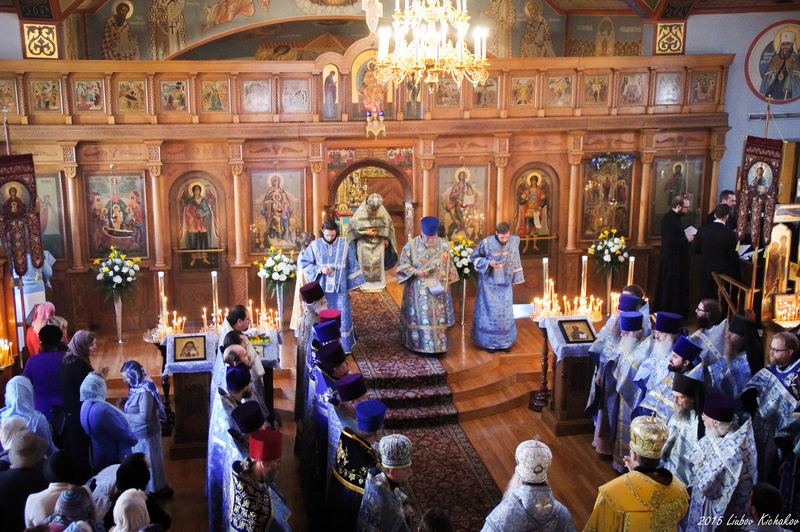 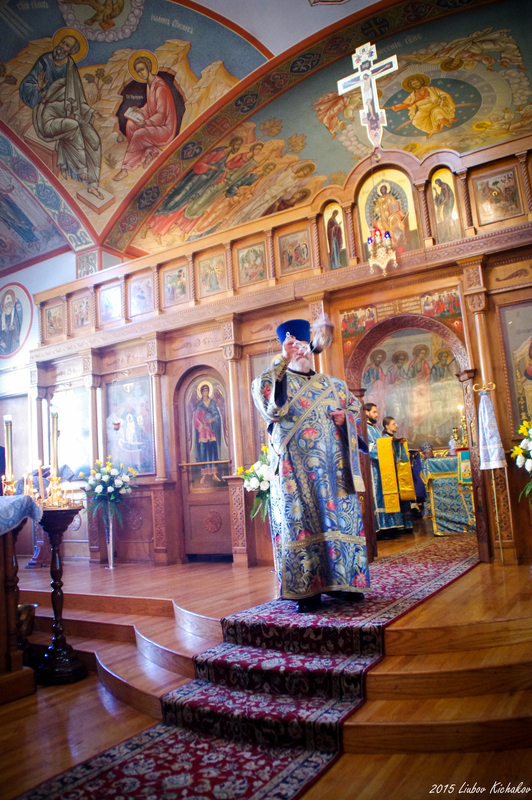 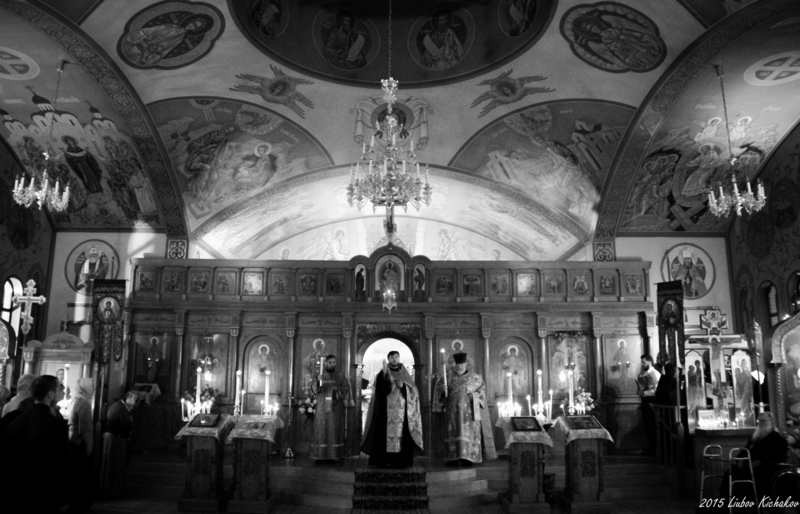 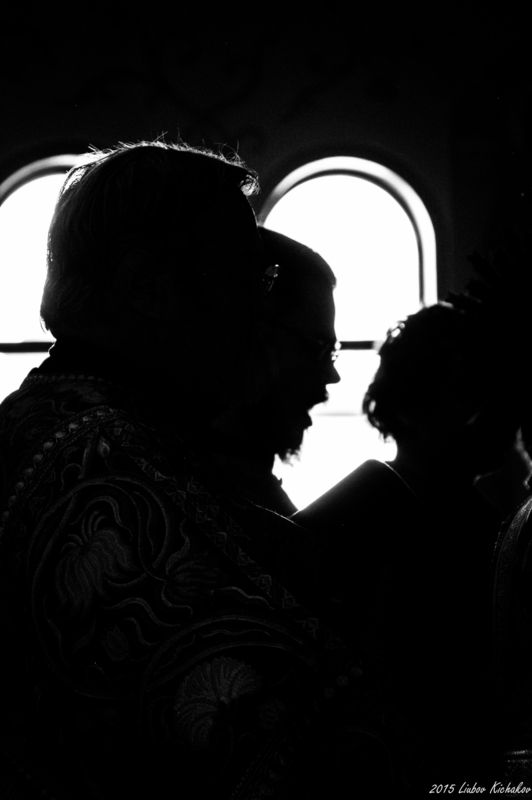 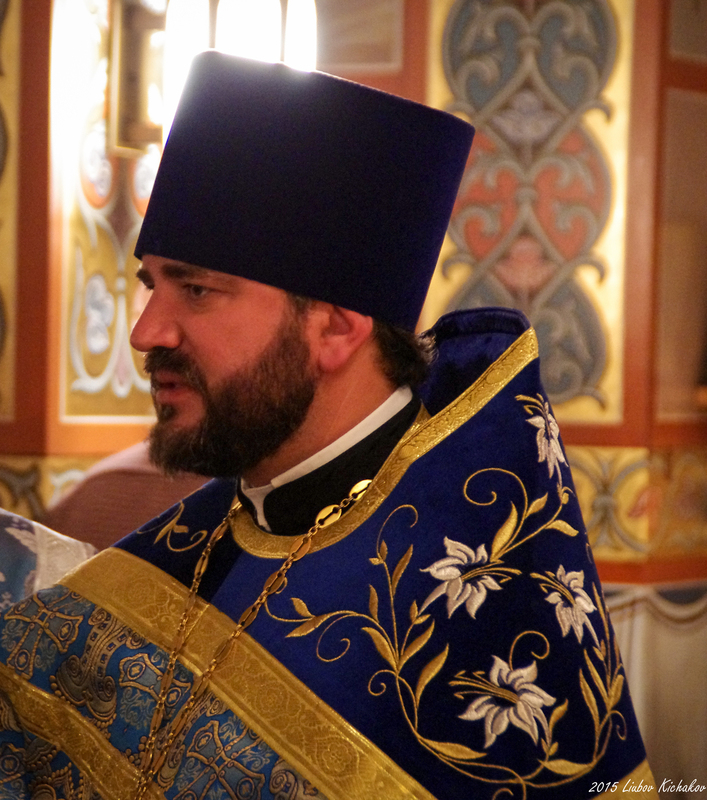 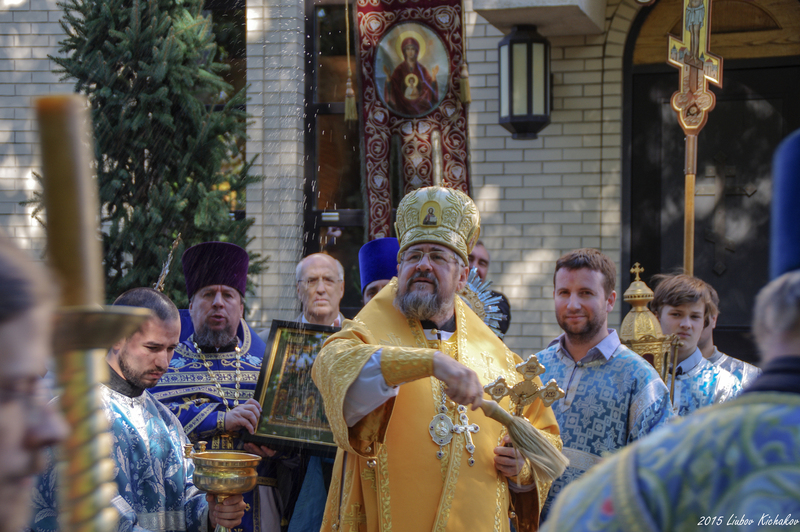 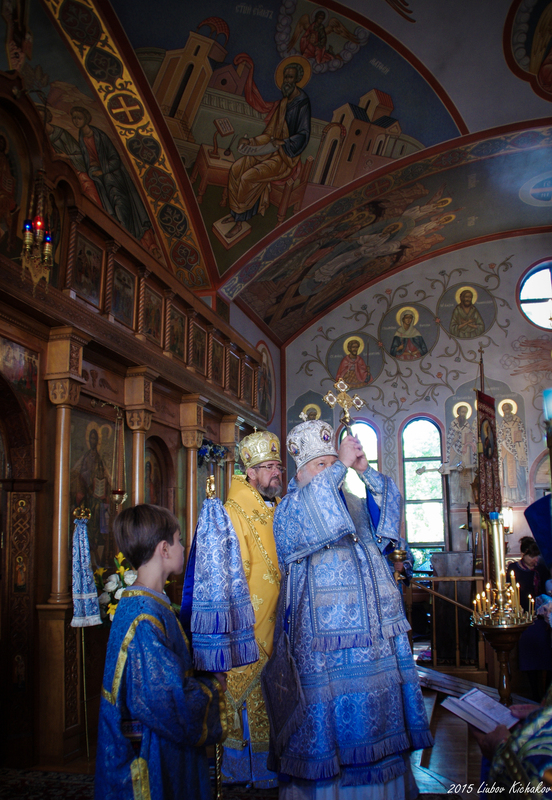 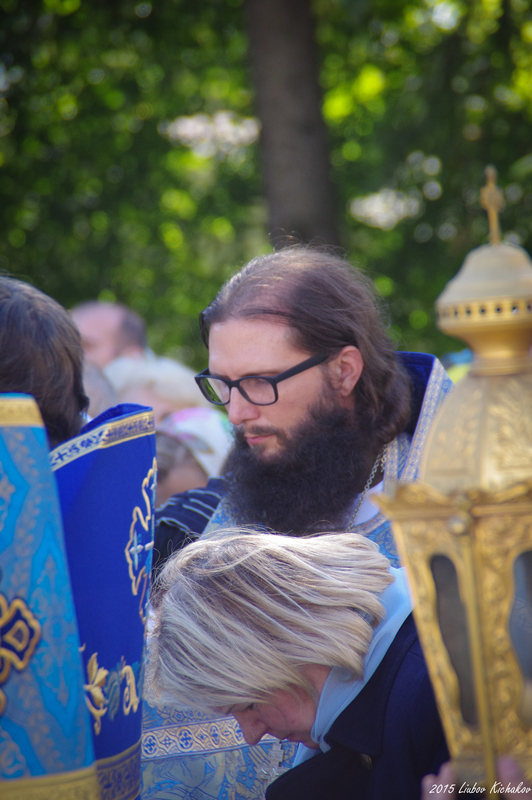 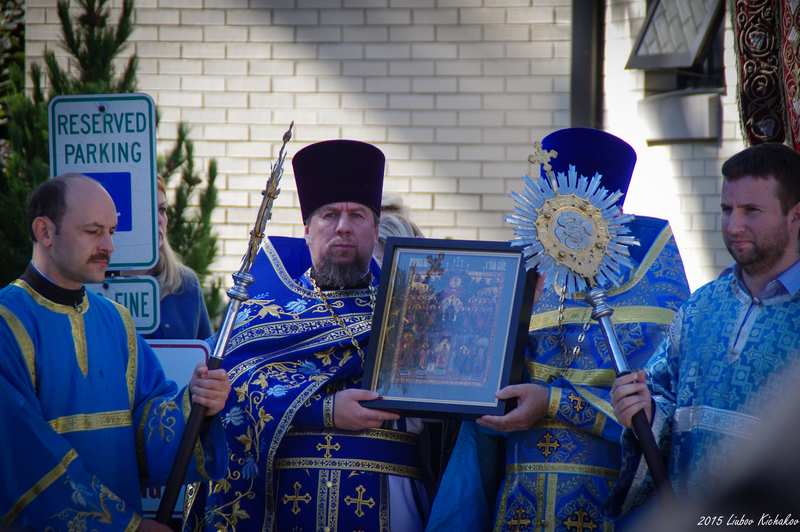 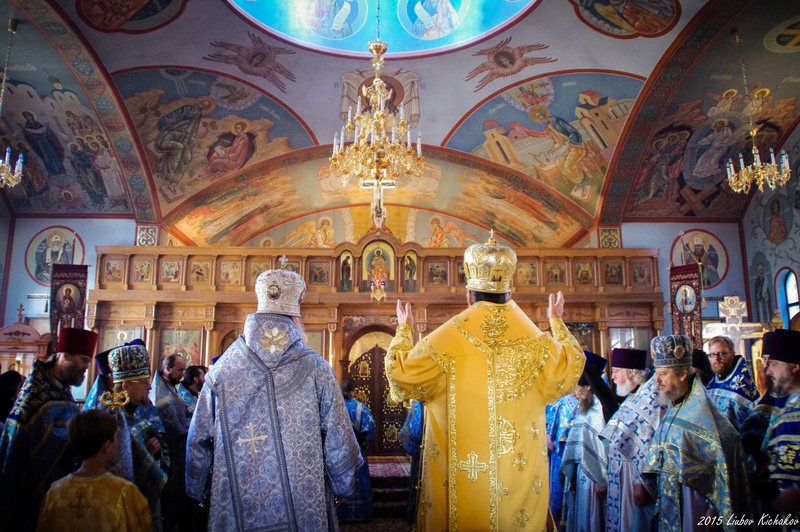 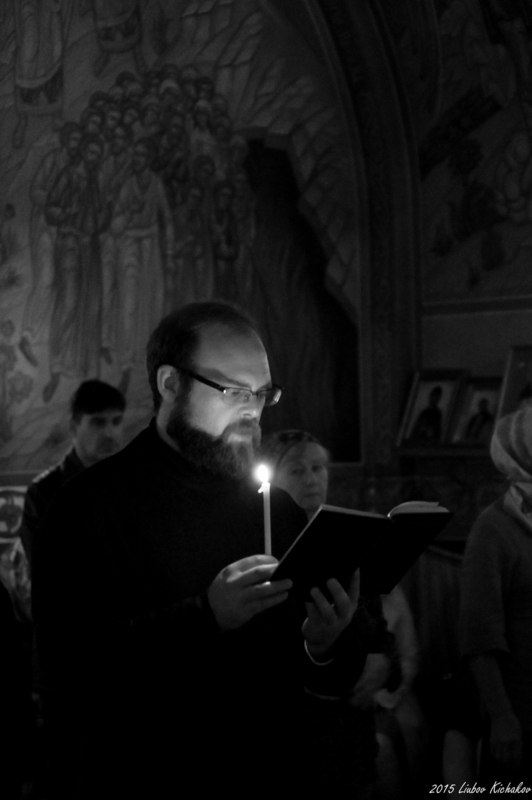 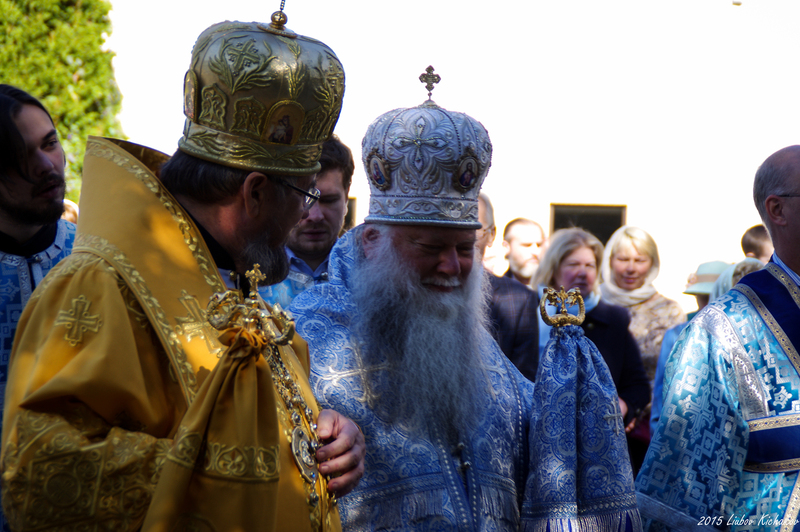 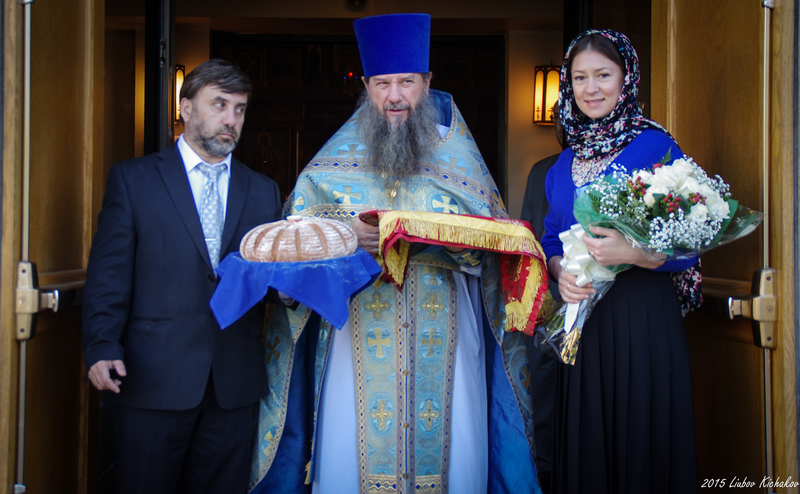 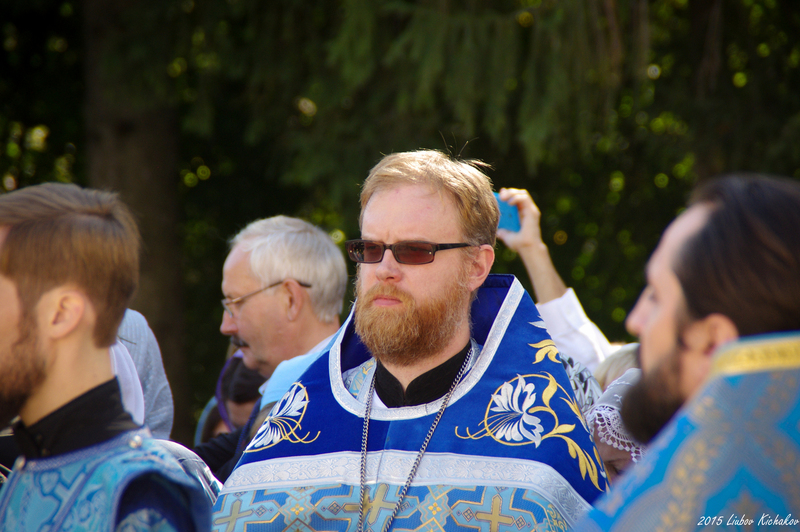 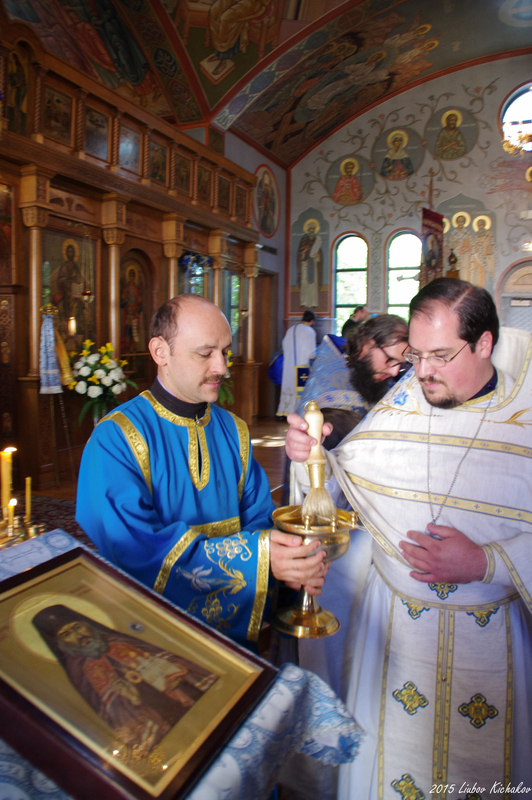 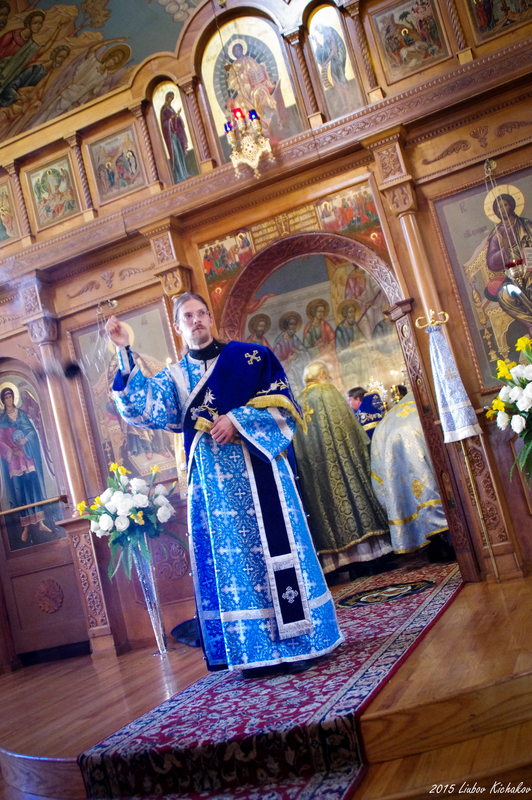 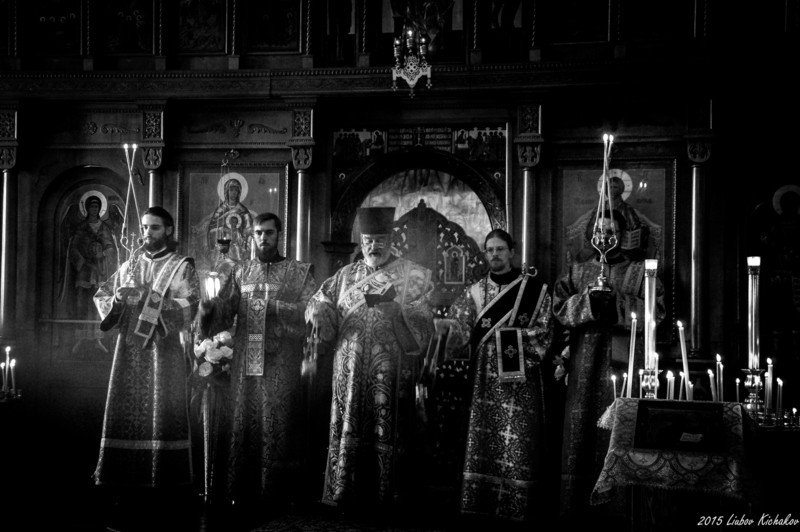 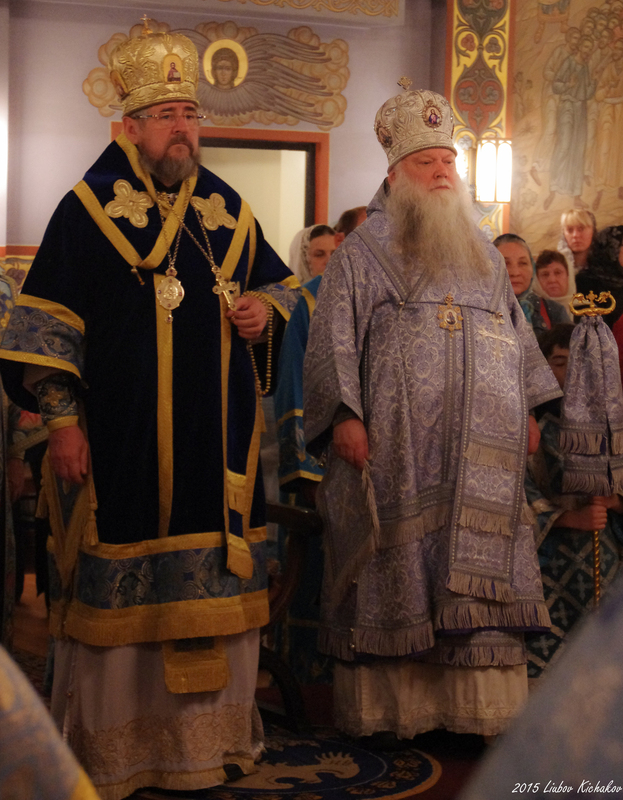 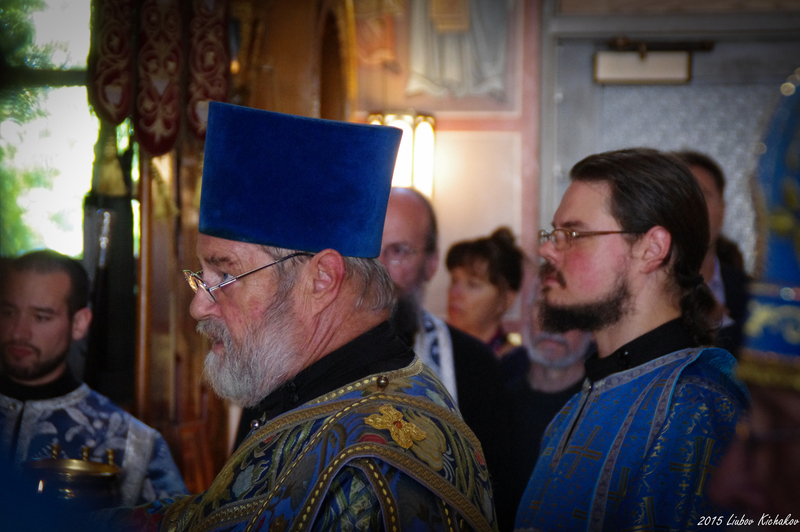 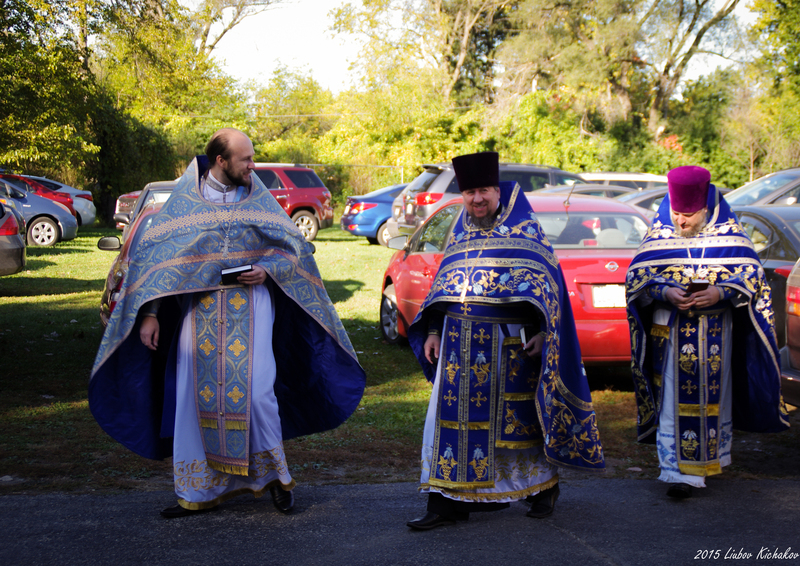 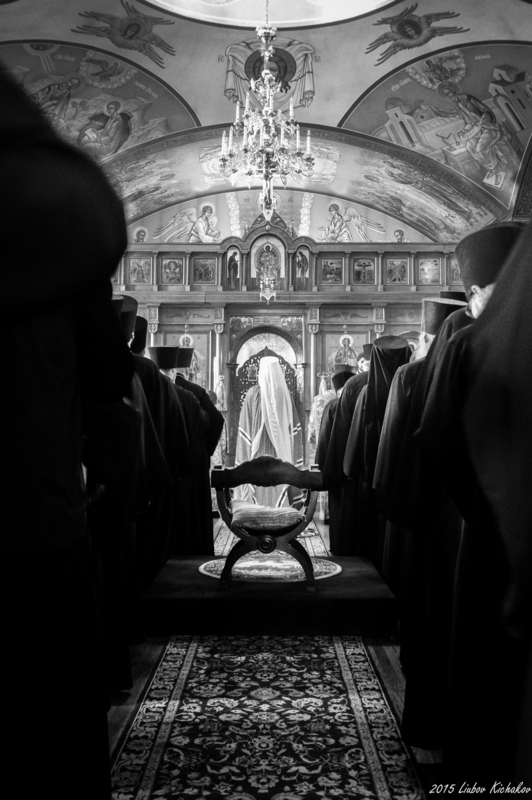 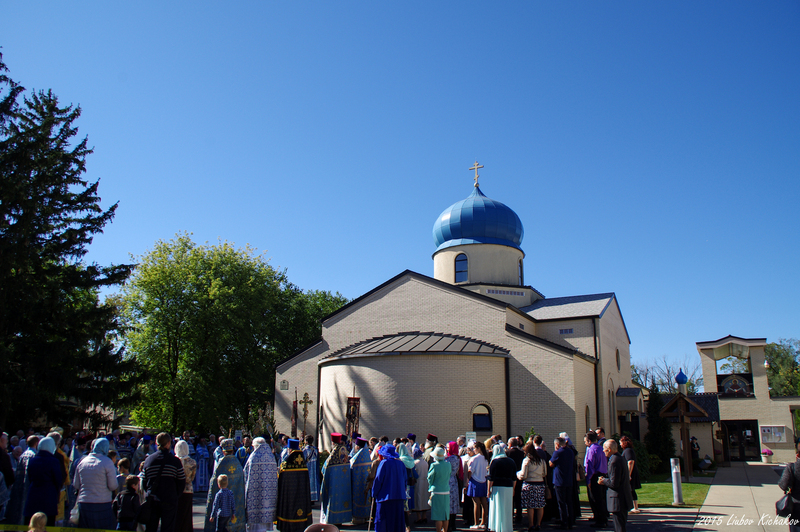 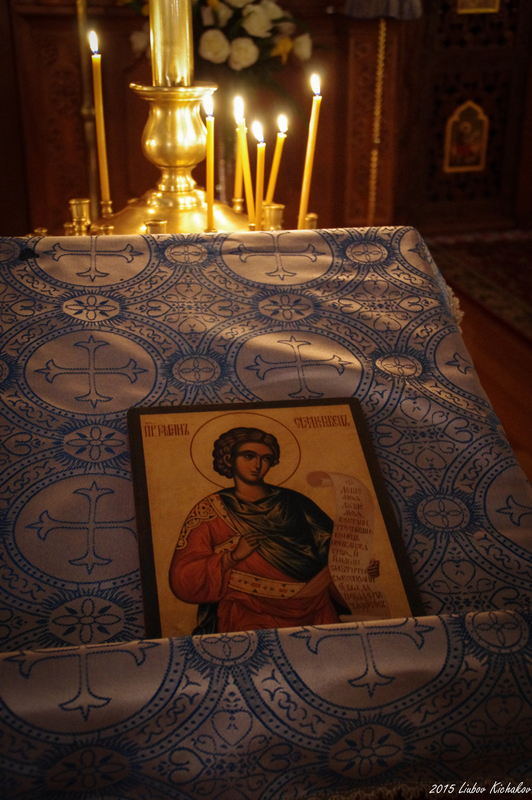 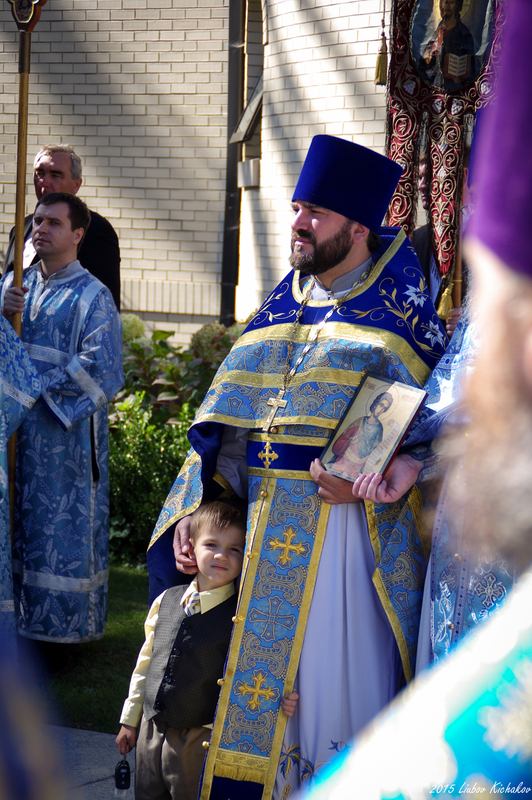 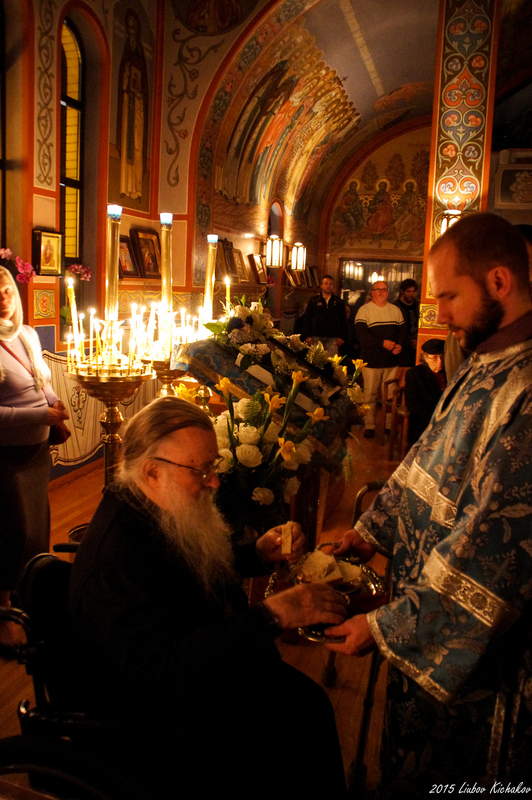 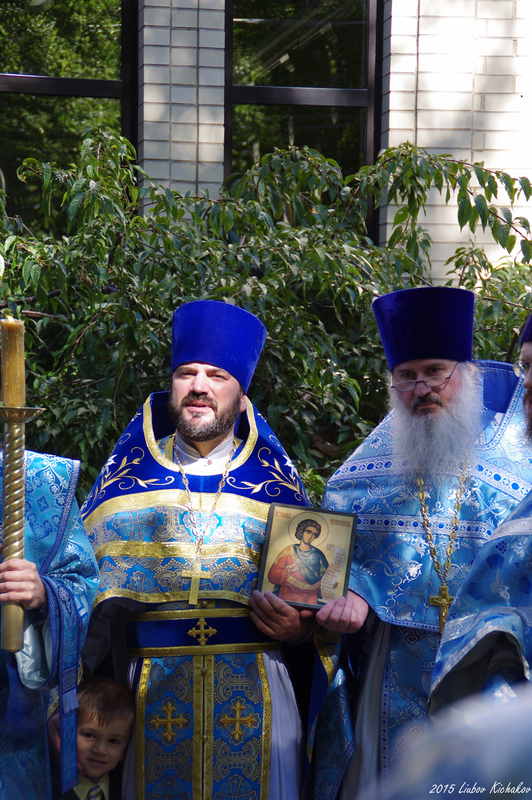 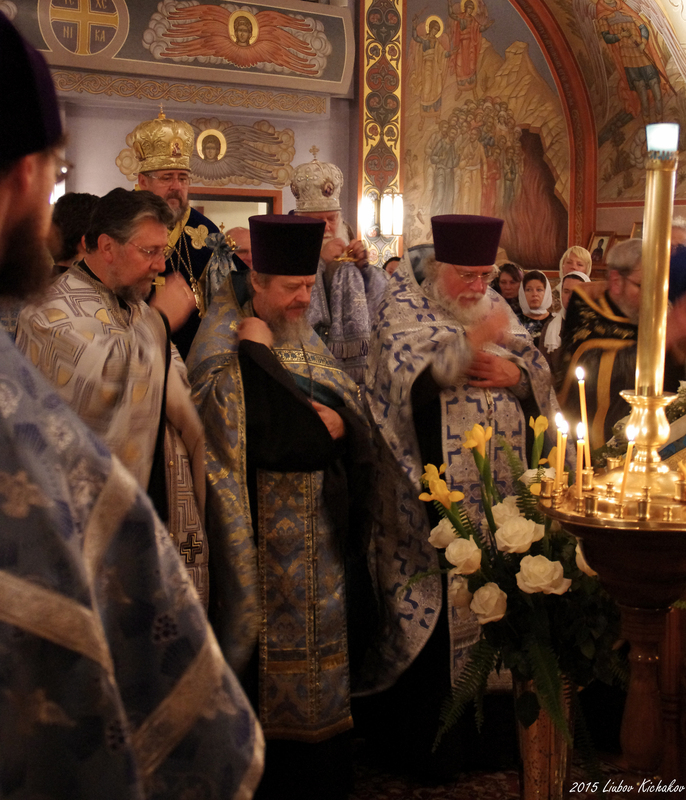 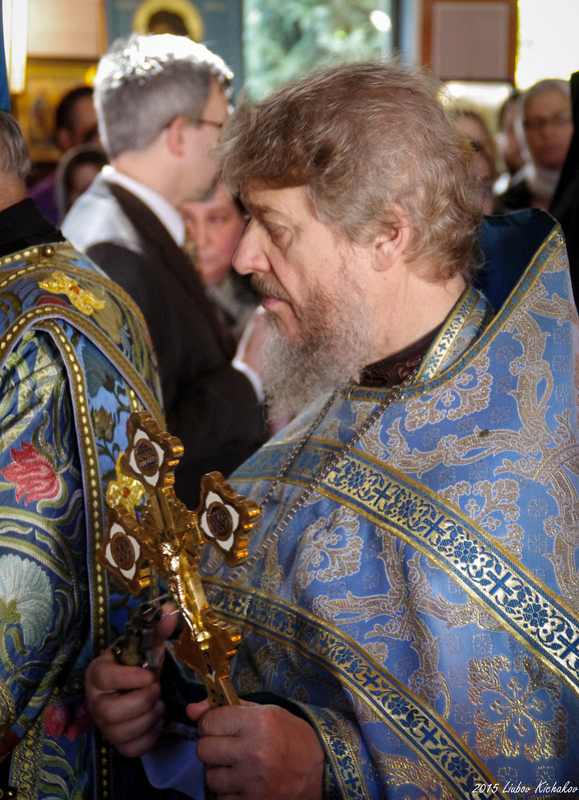 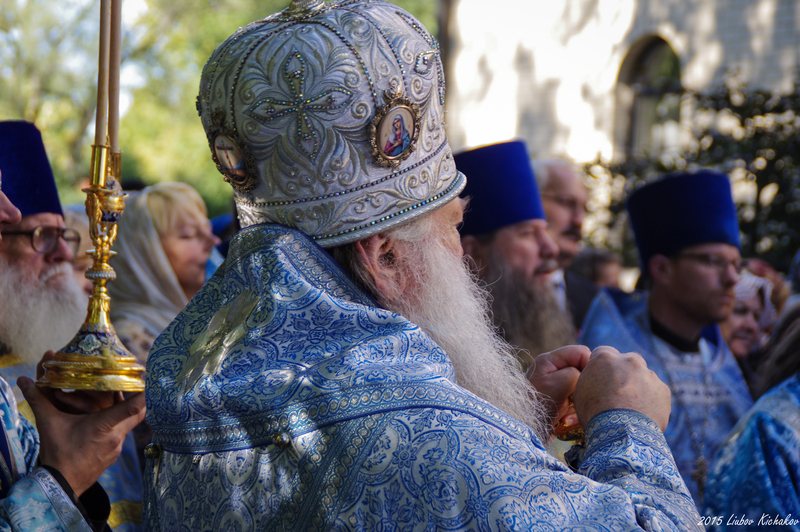 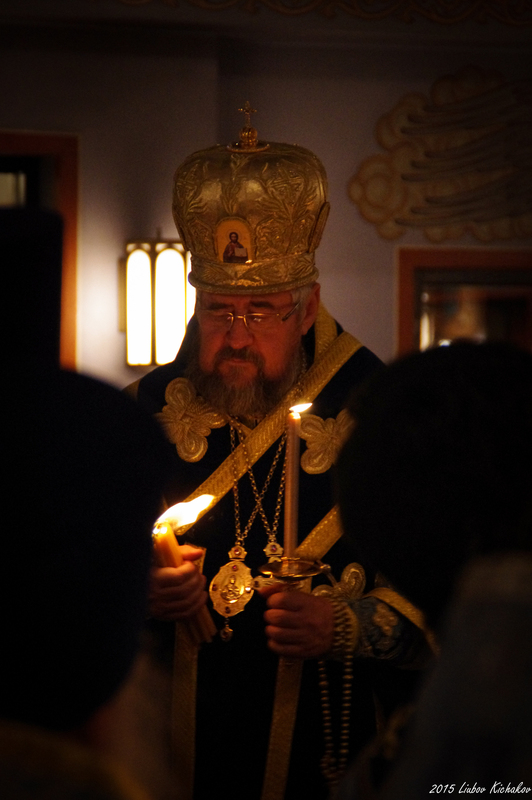 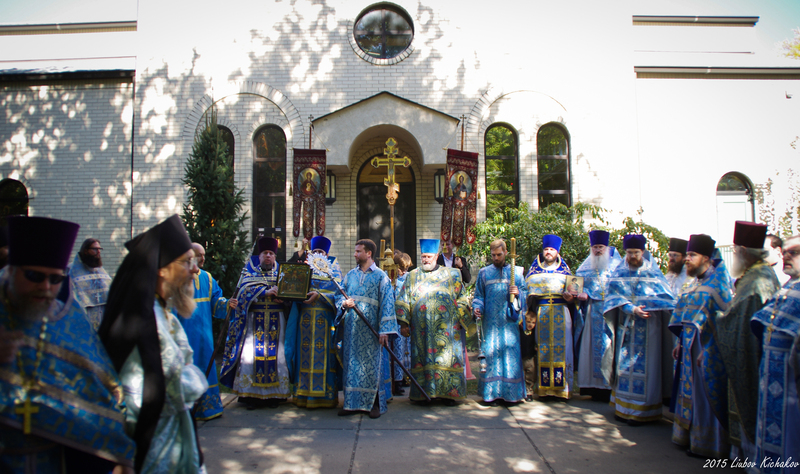 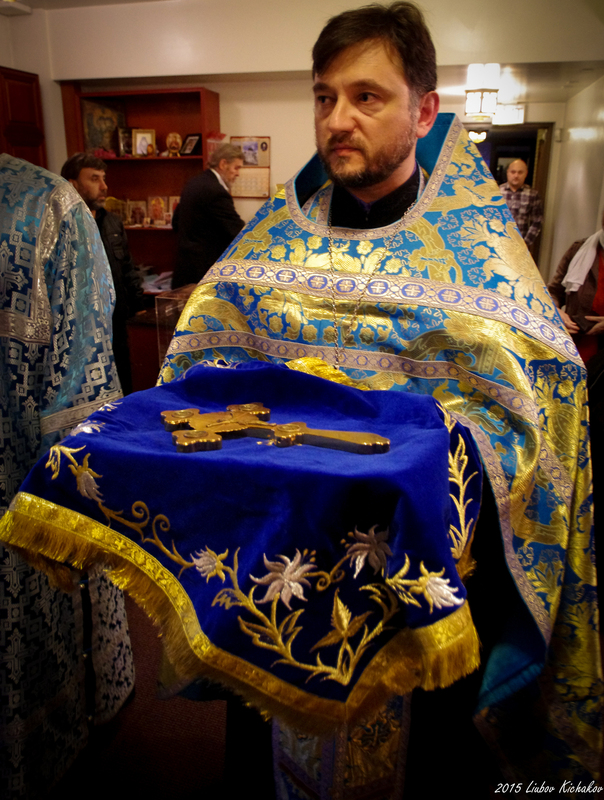 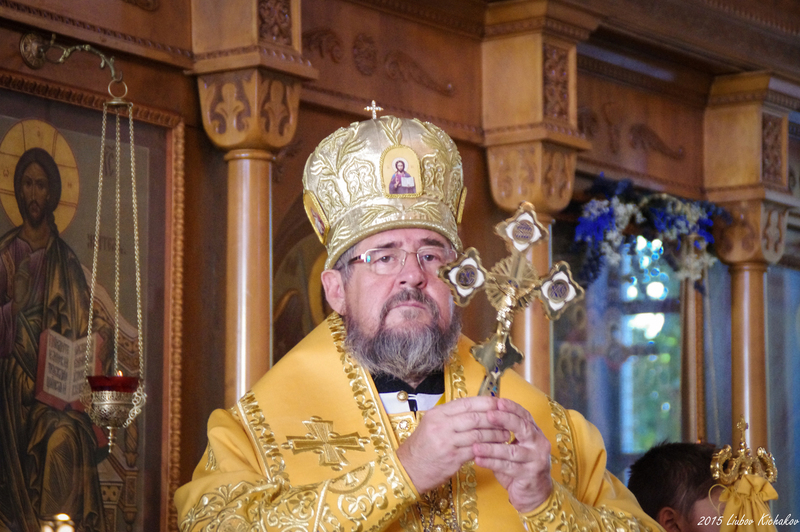 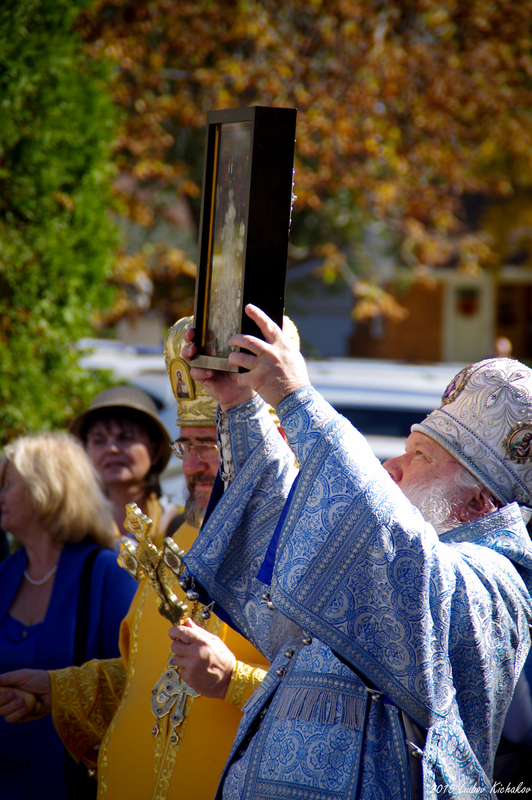 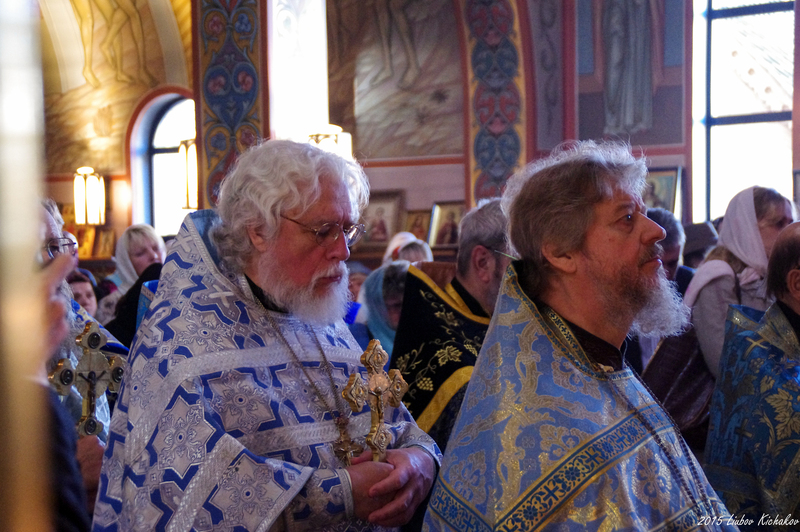 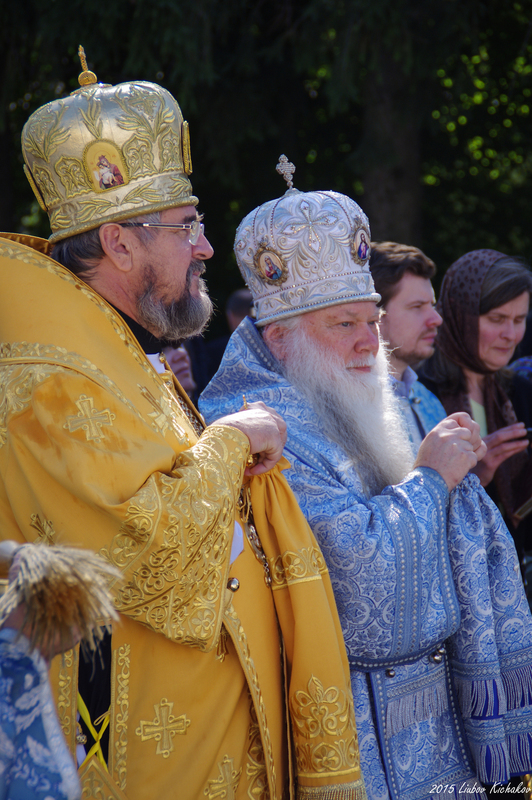 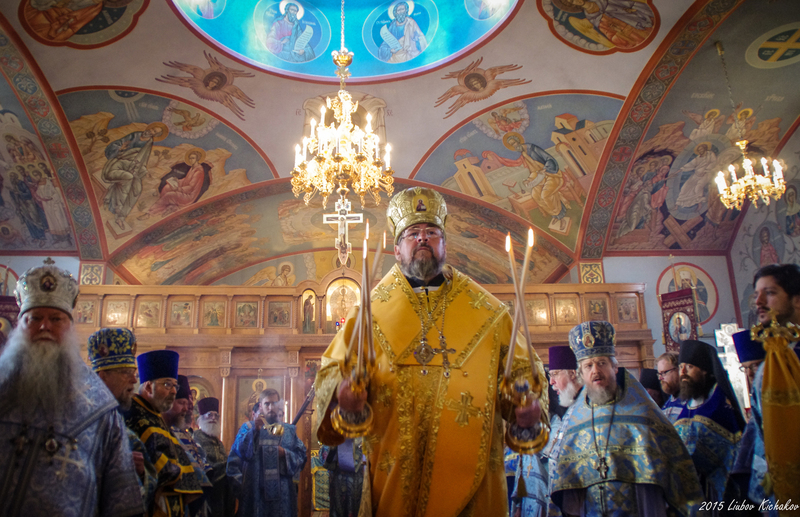 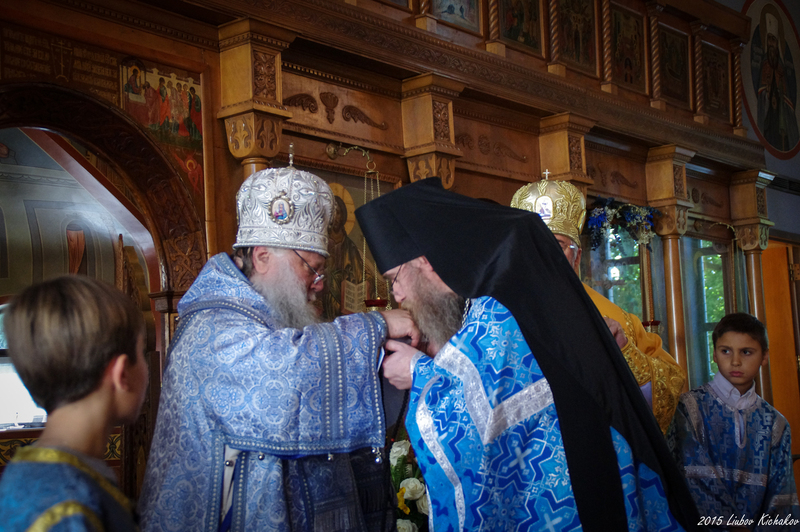 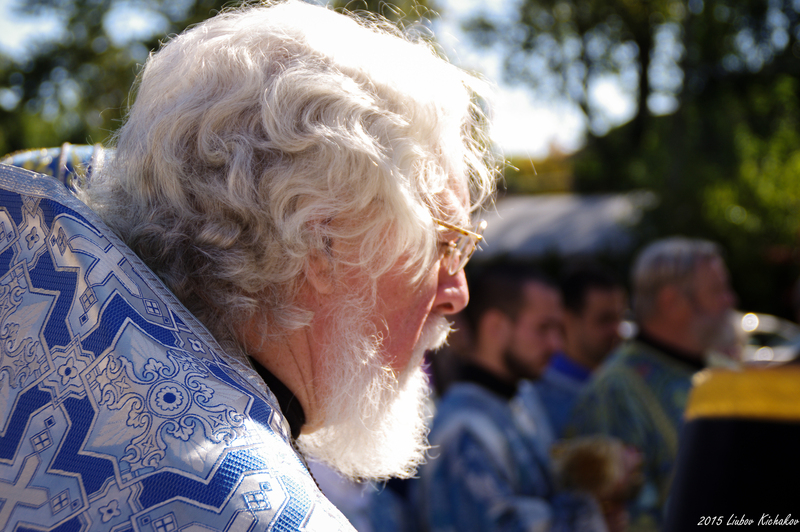 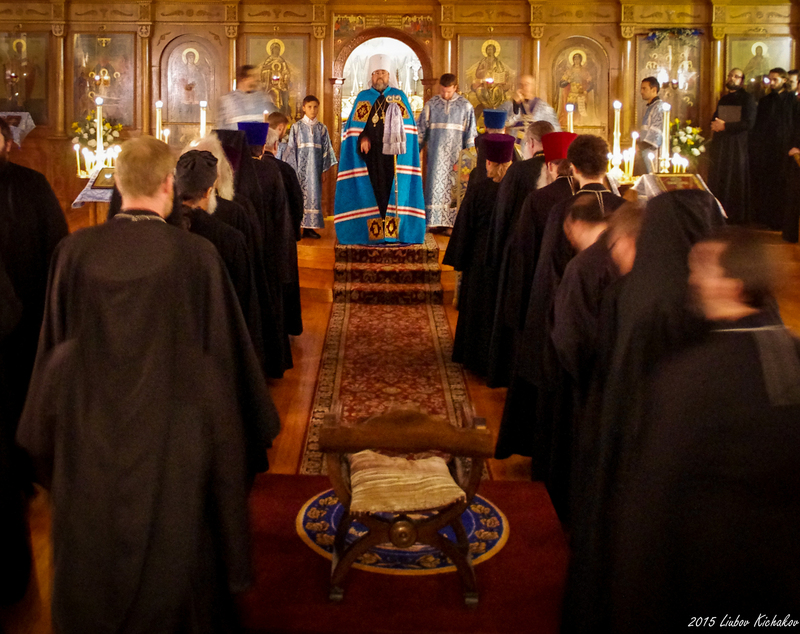 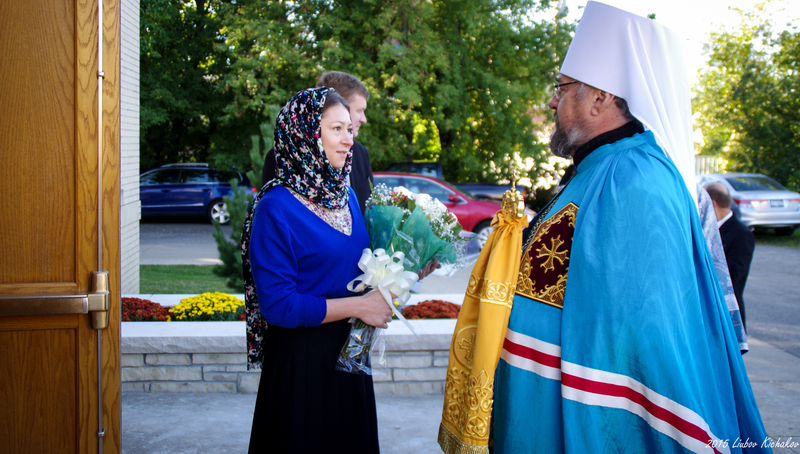 The Divine Liturgy was presided over by Metropolitan Phillip of Poltava and Mirgorod. 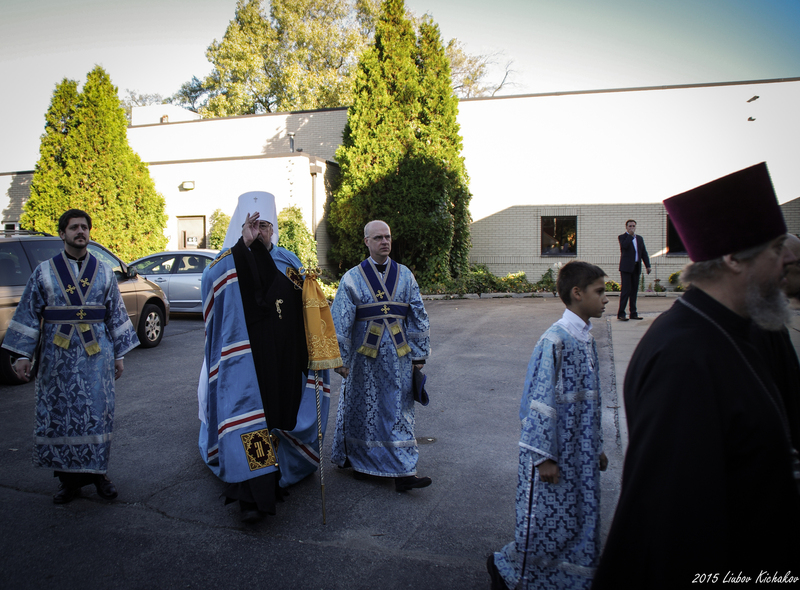 The honored guest was joined at the Holy Altar by His Eminence Archbishop Alypy and His Grace Bishop Peter, Administrator of the Diocese of Chicago & Mid-America. 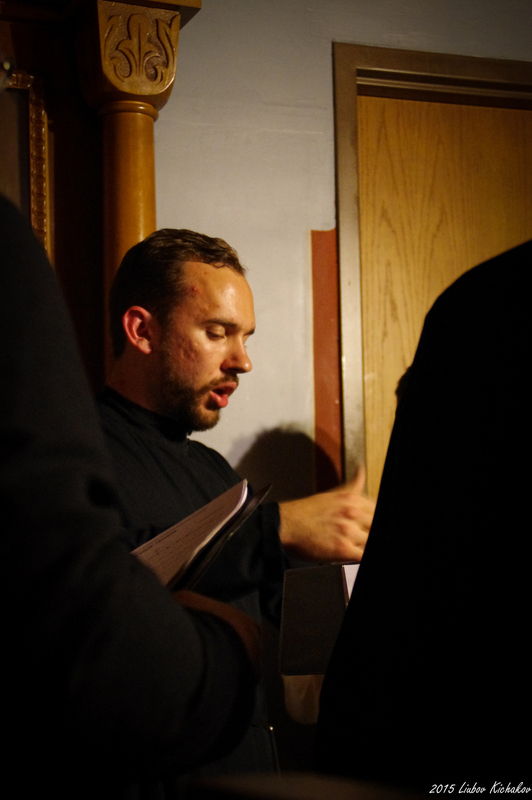 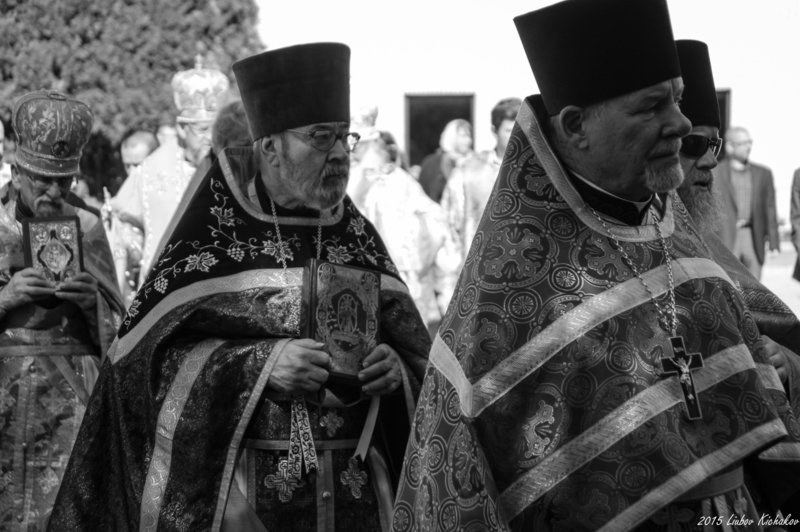 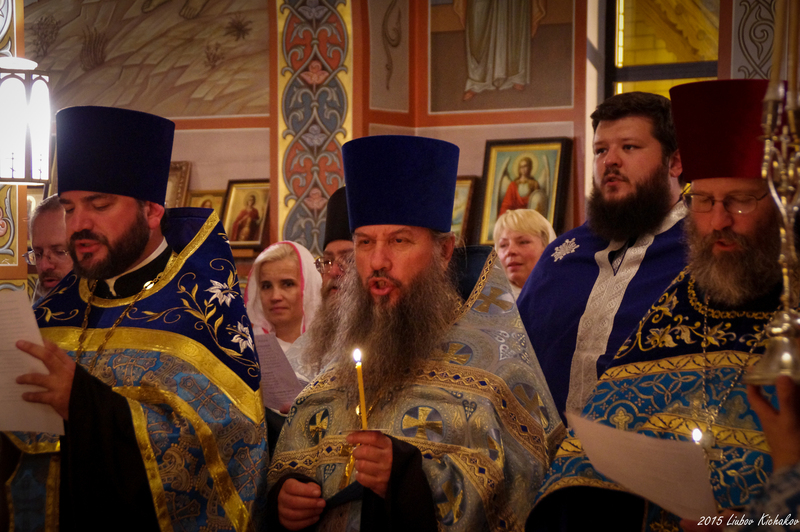 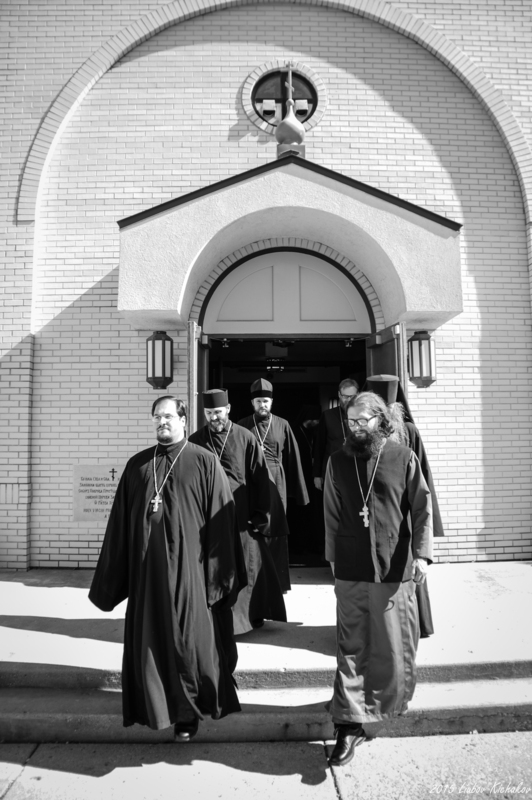 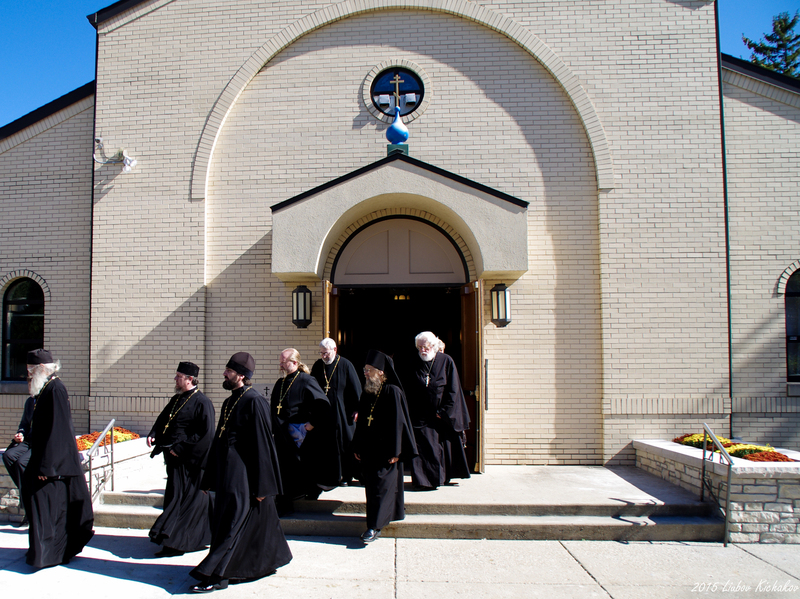 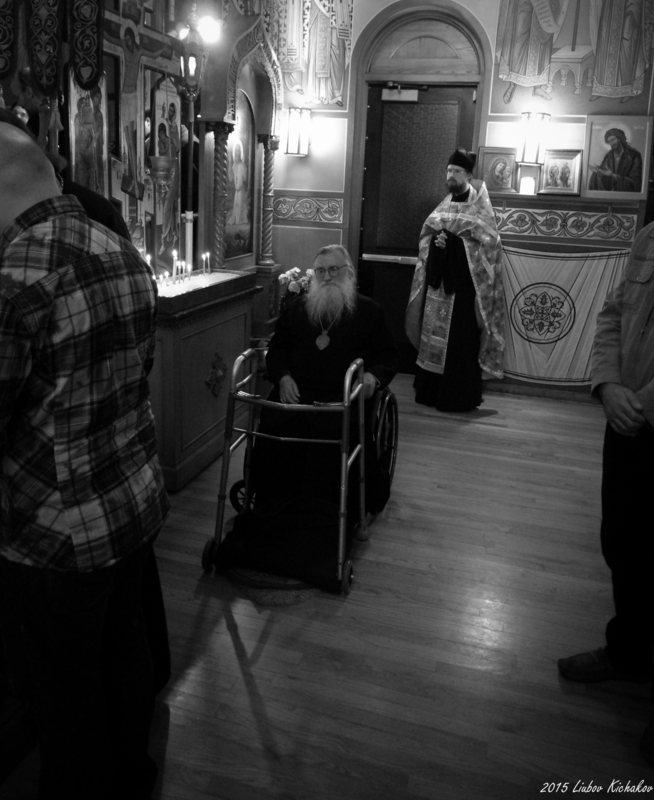 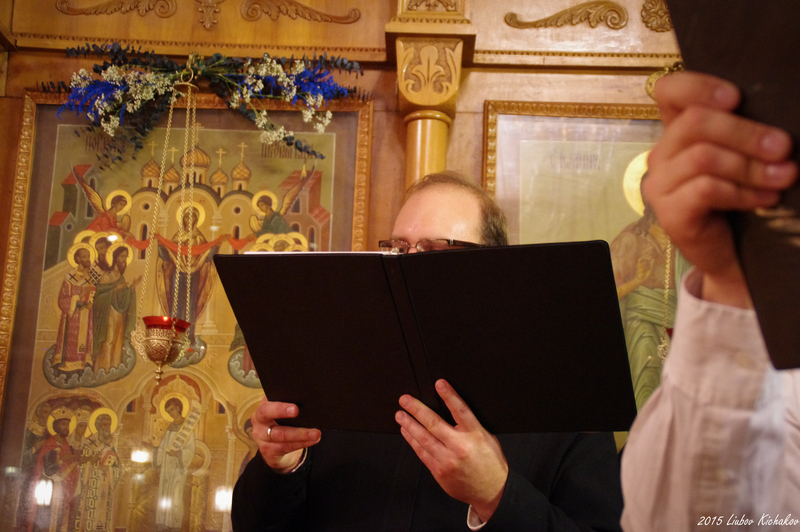 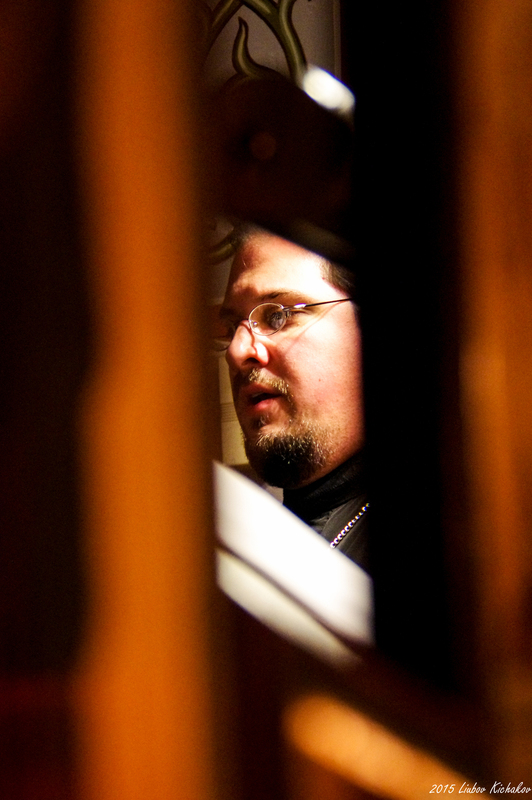 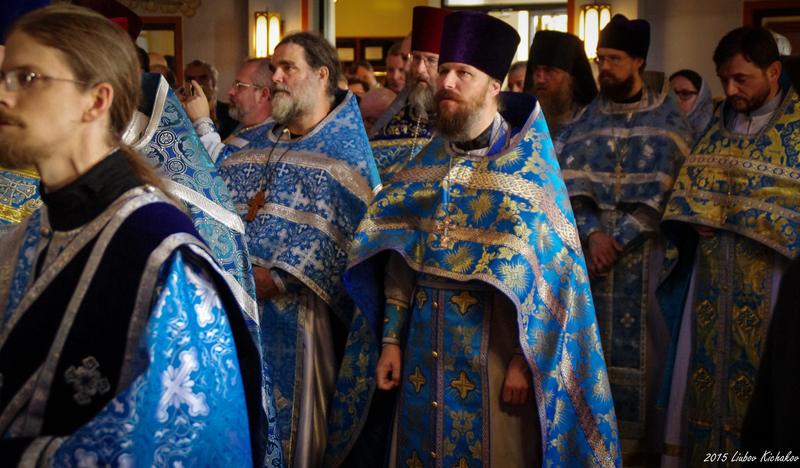 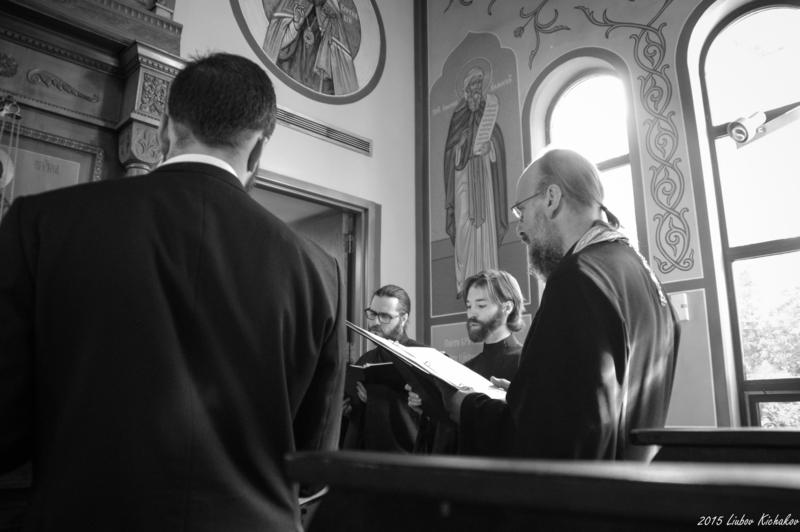 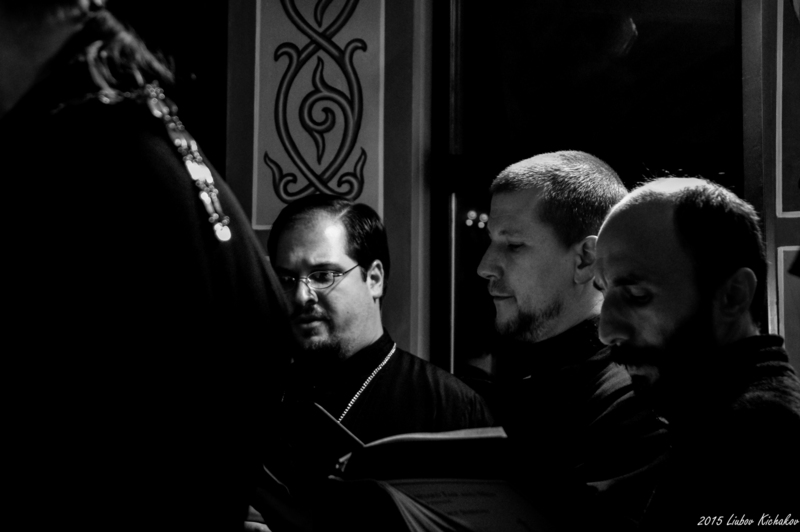 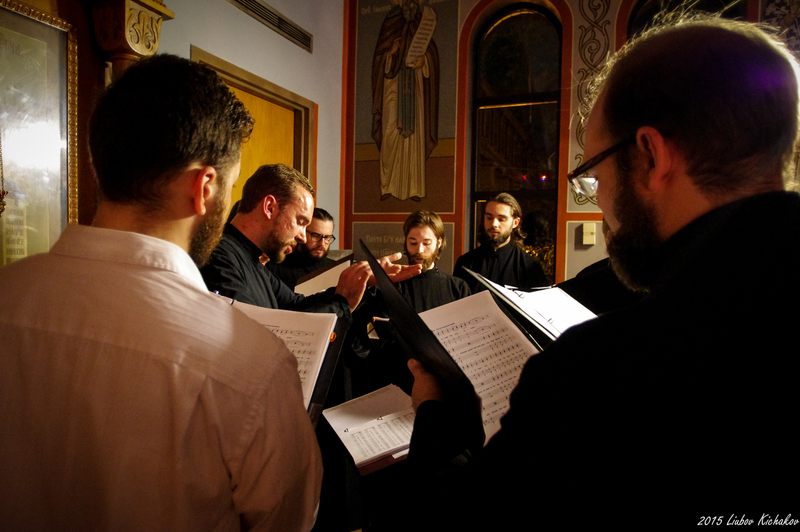 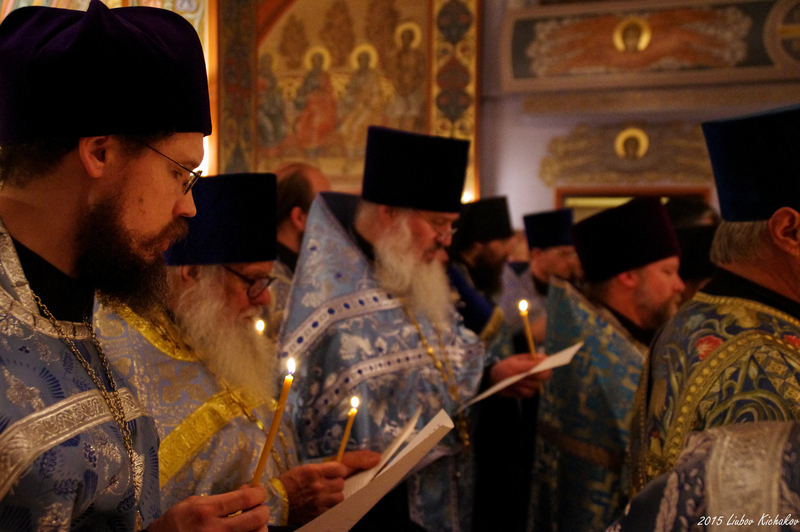 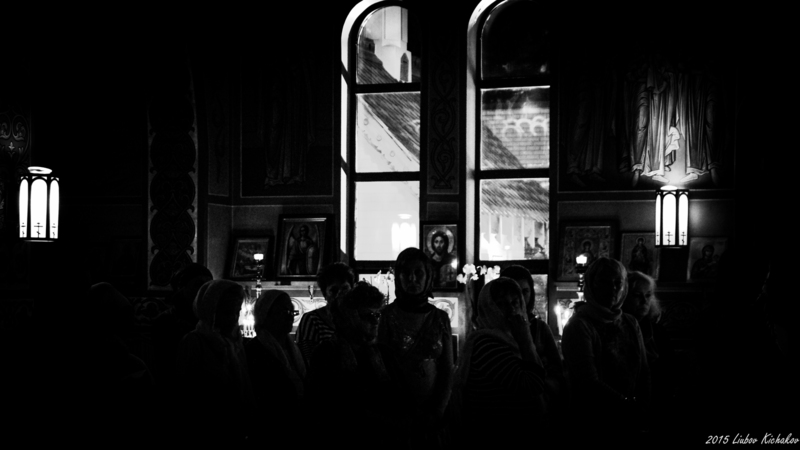 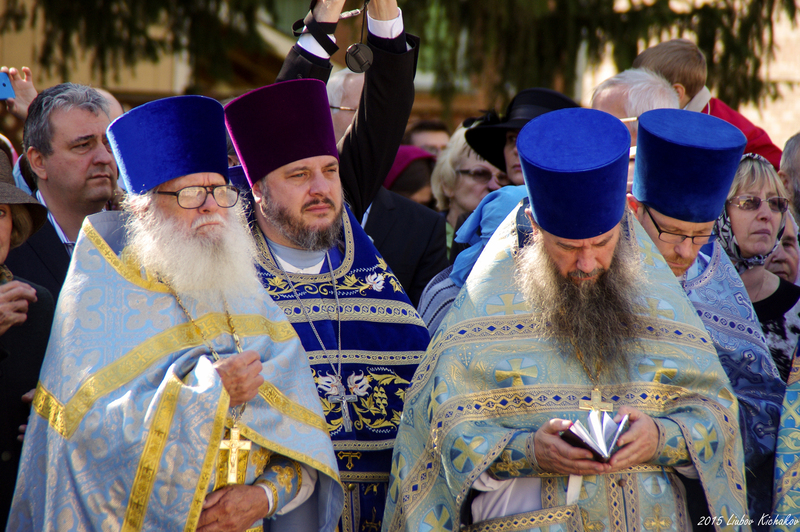 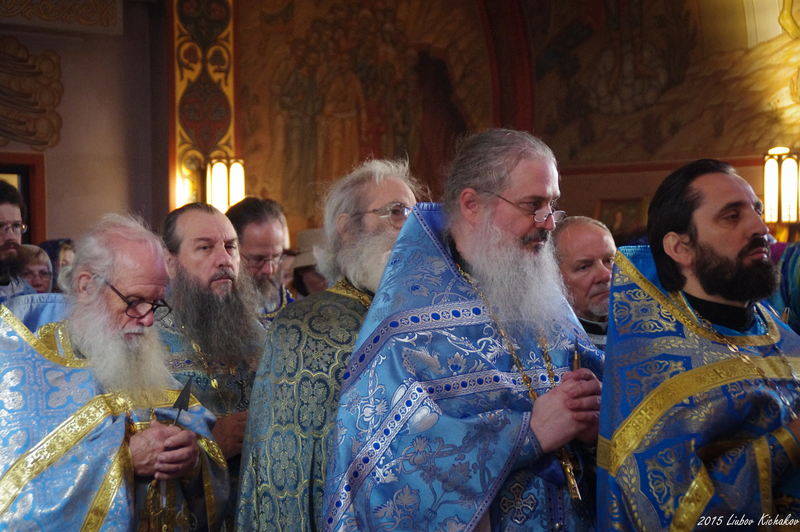 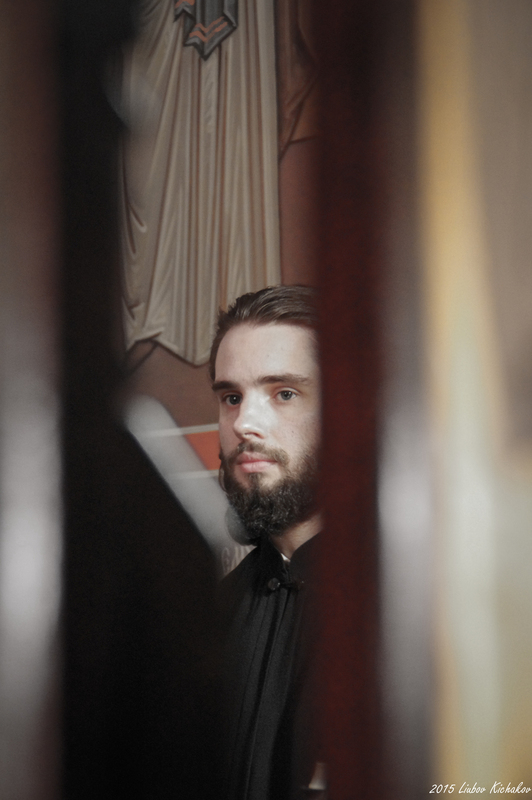 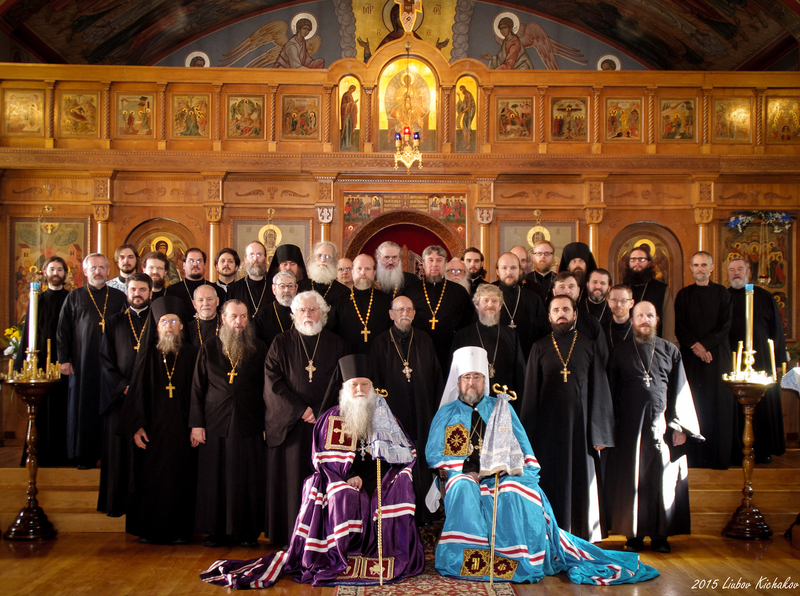 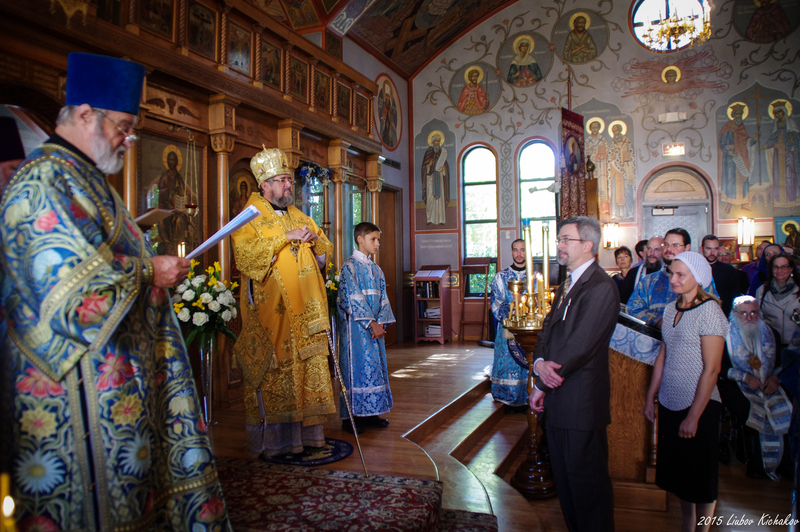 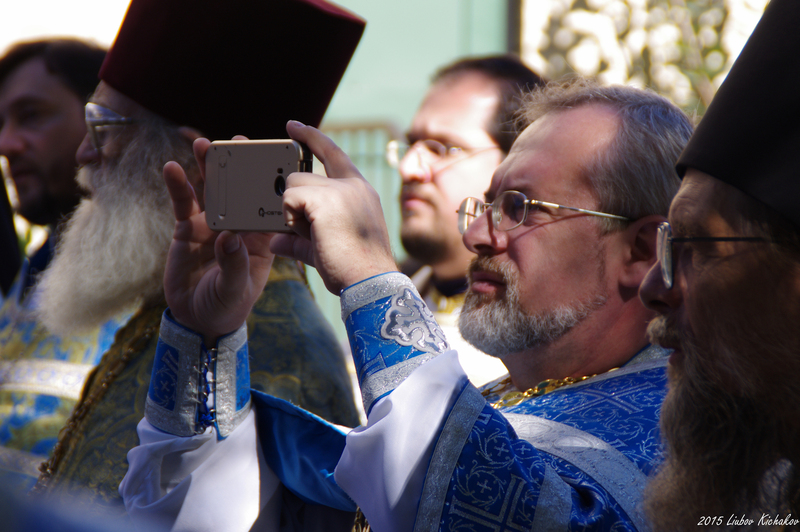 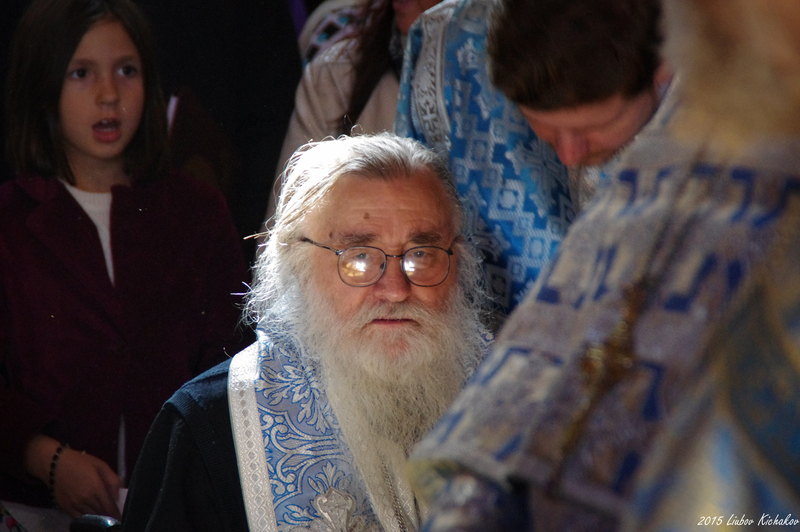 In addition to the hierarchs were a host of priests and deacons - both clerics of the diocese and guests. 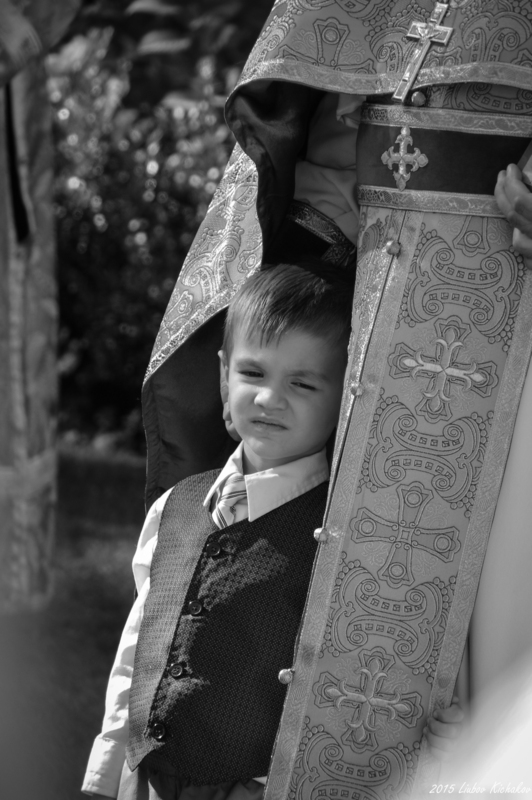 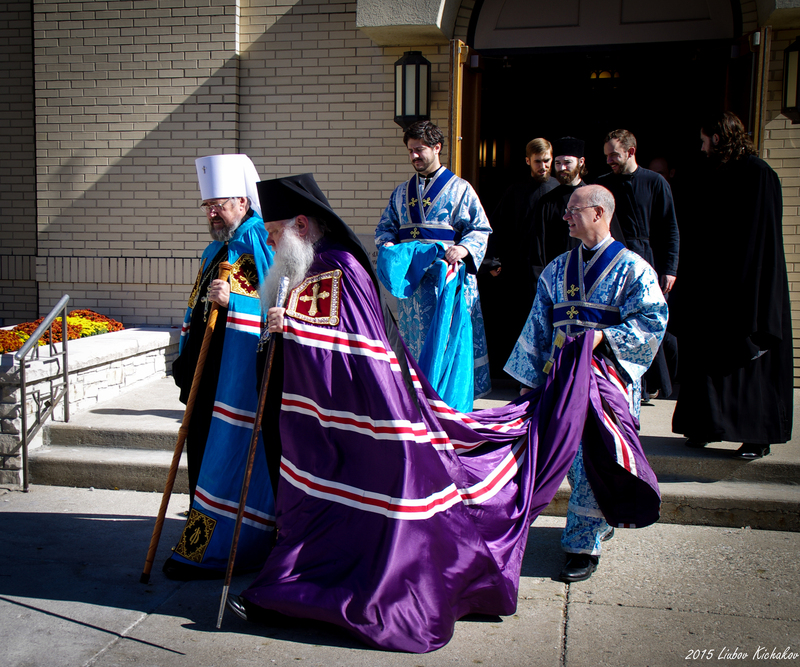 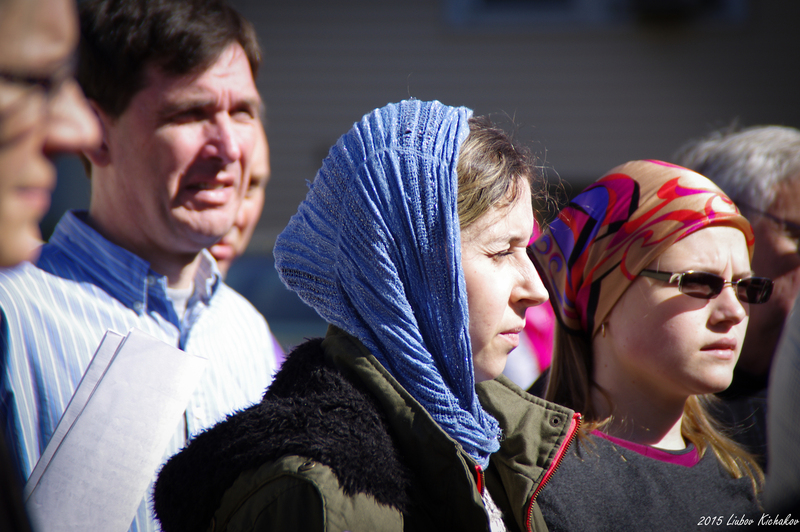 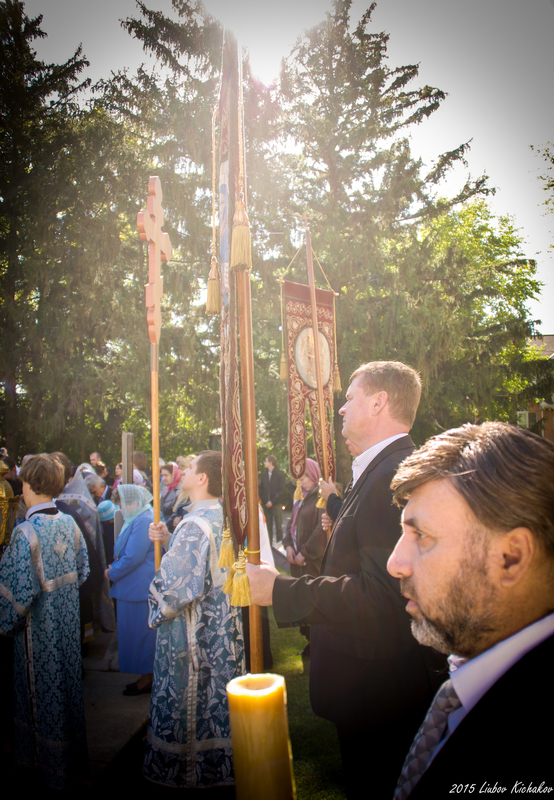 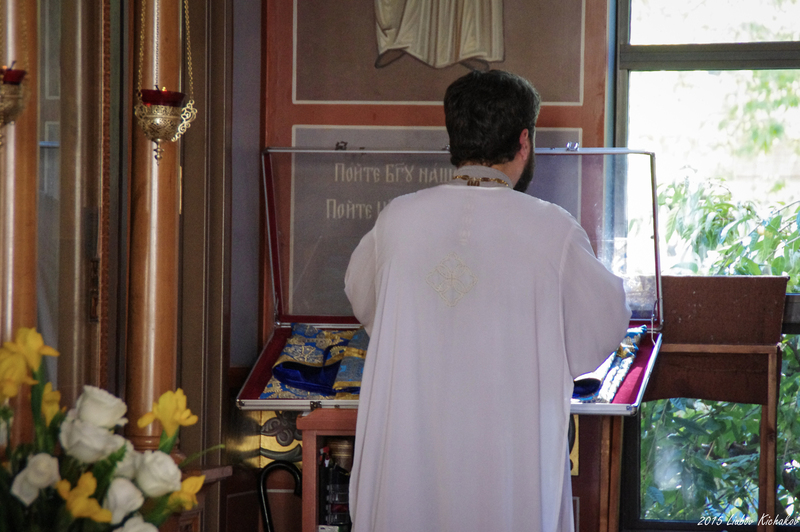 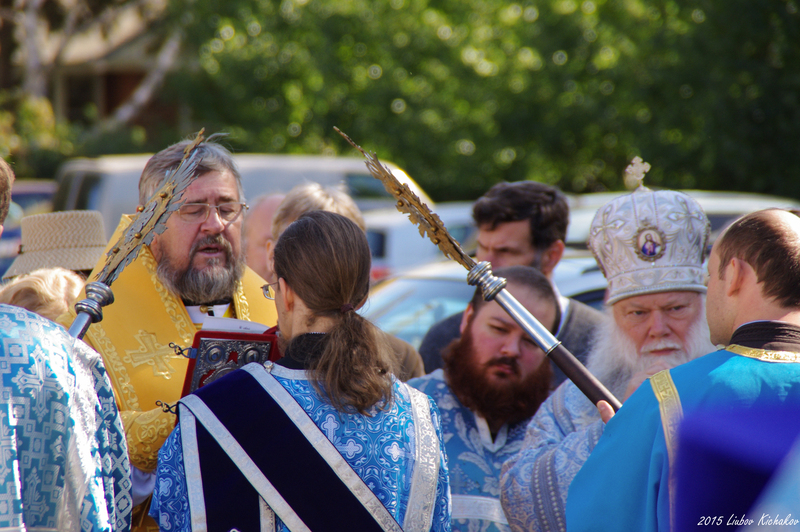 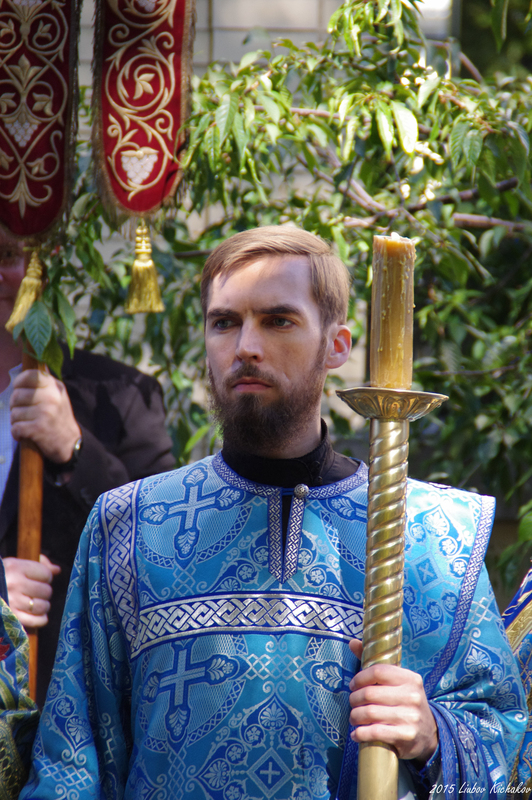 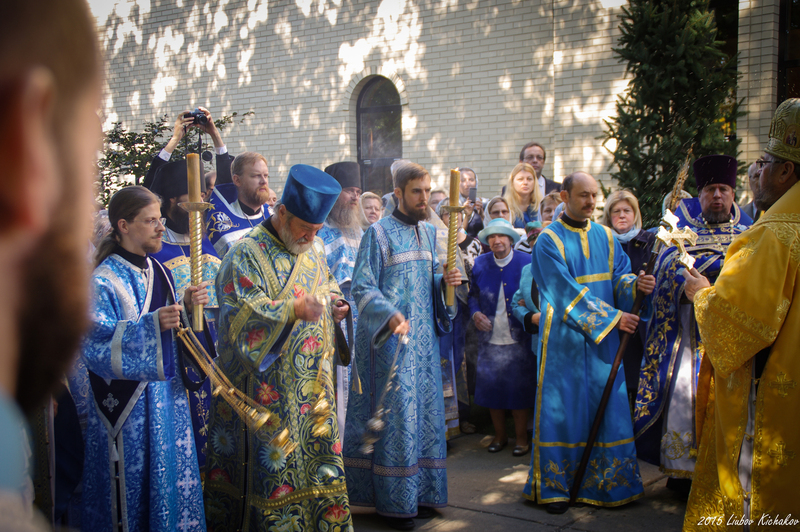 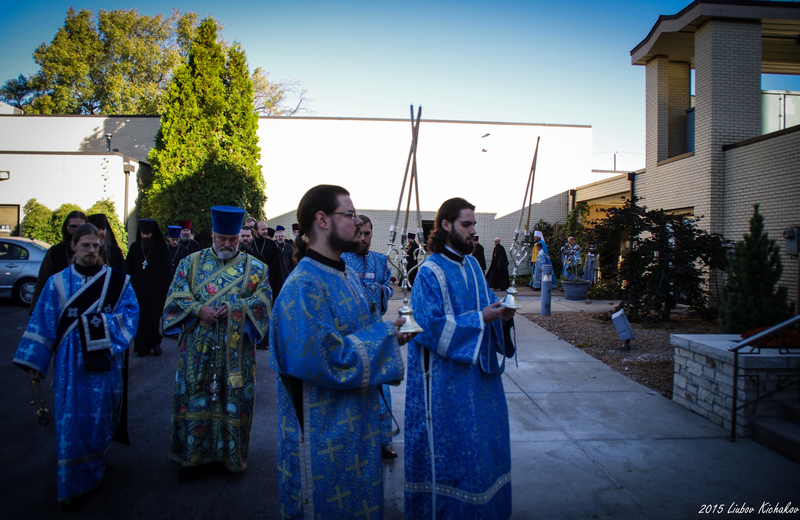 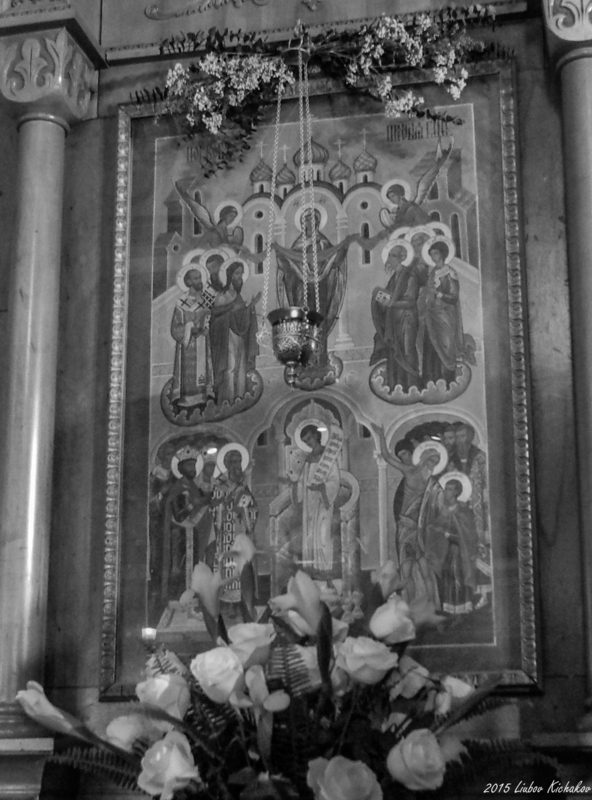 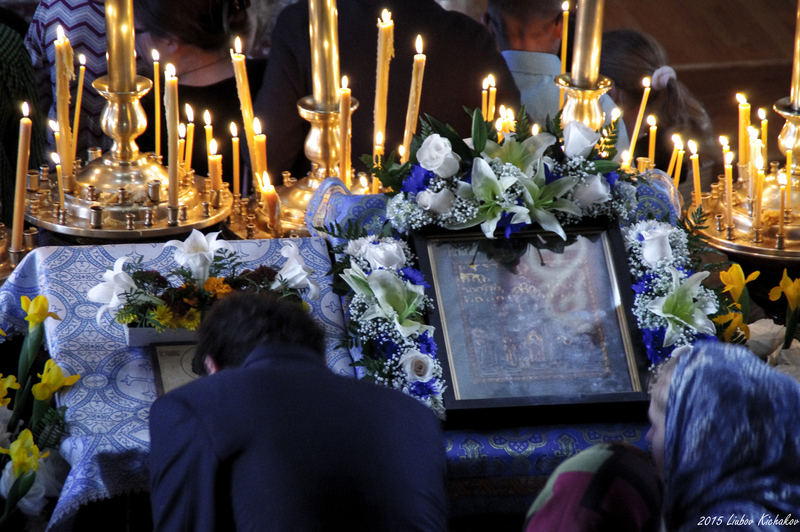 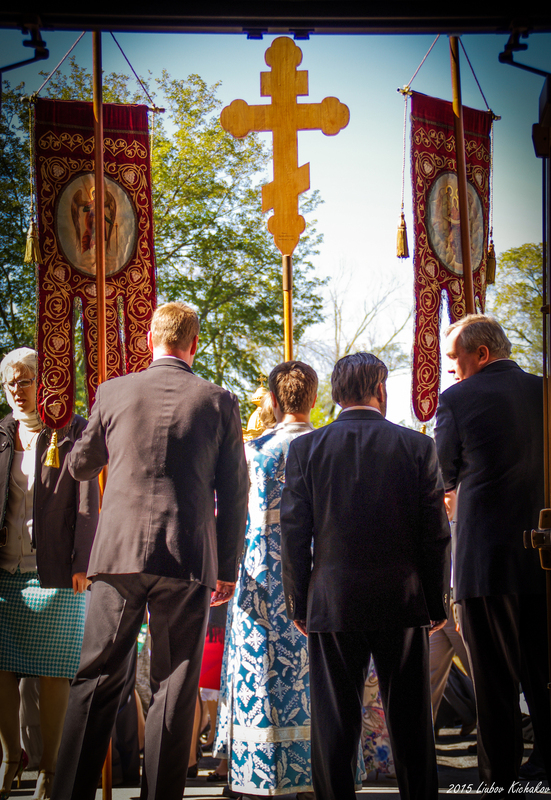 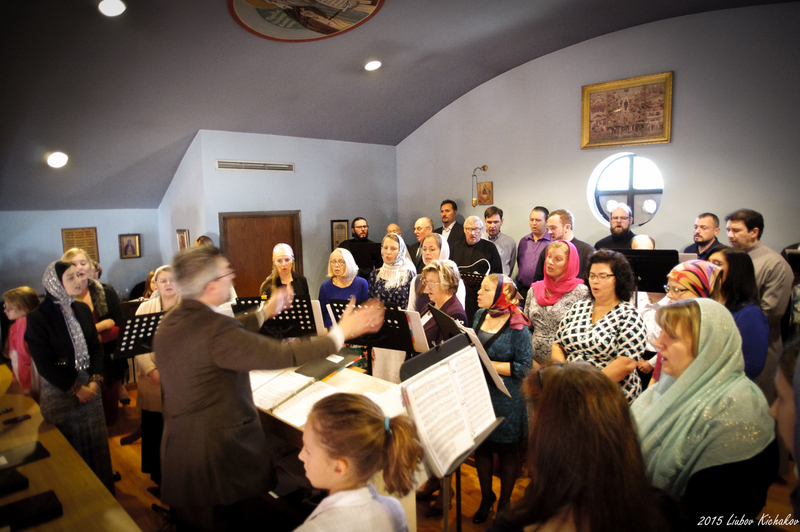 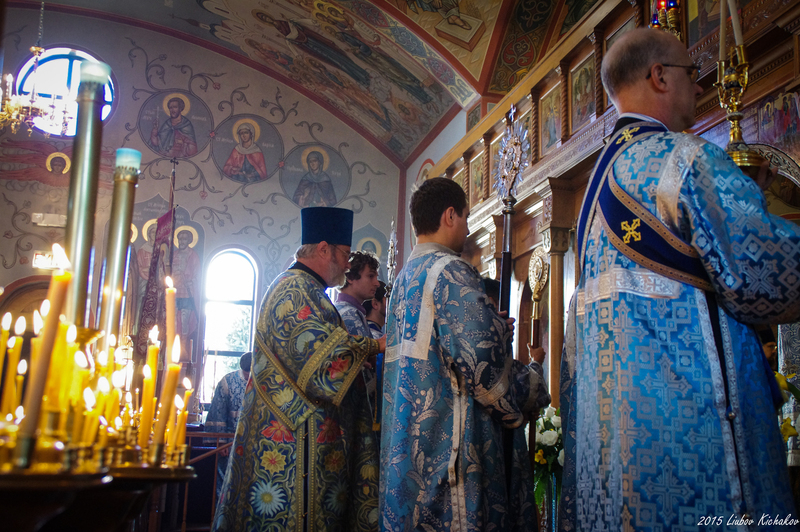 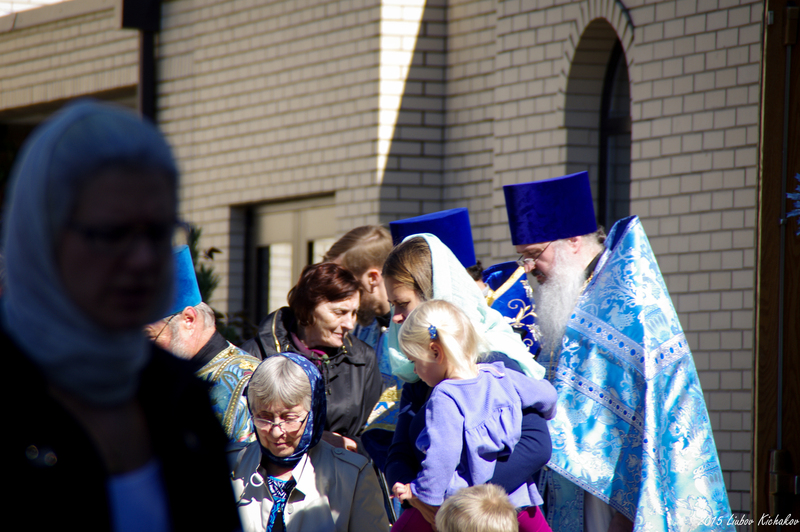 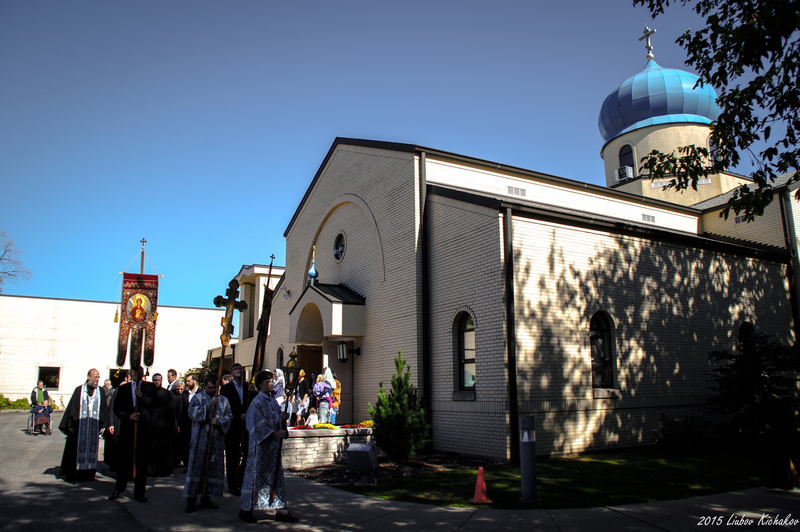 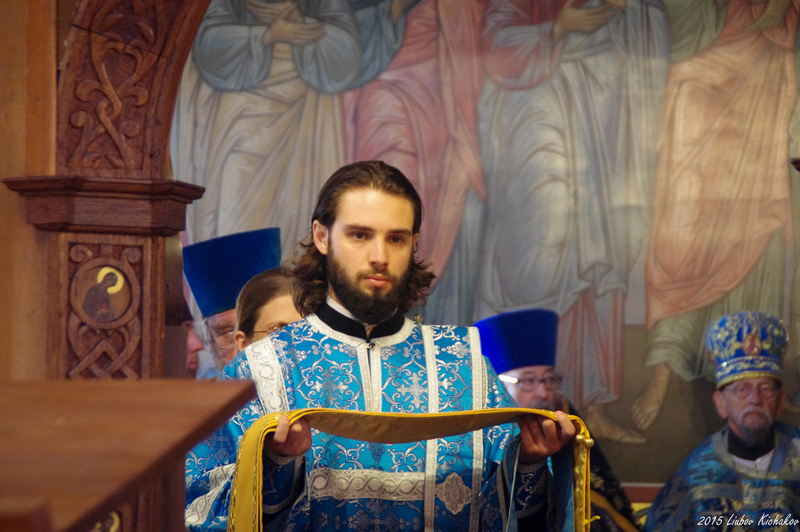 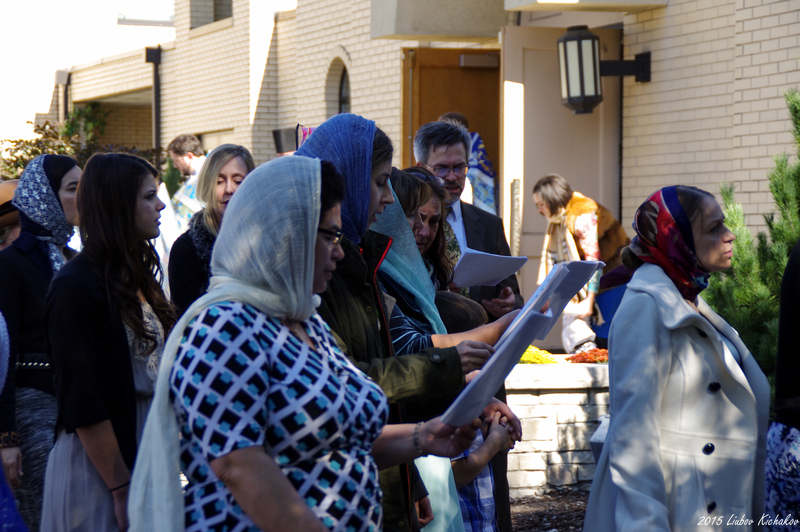 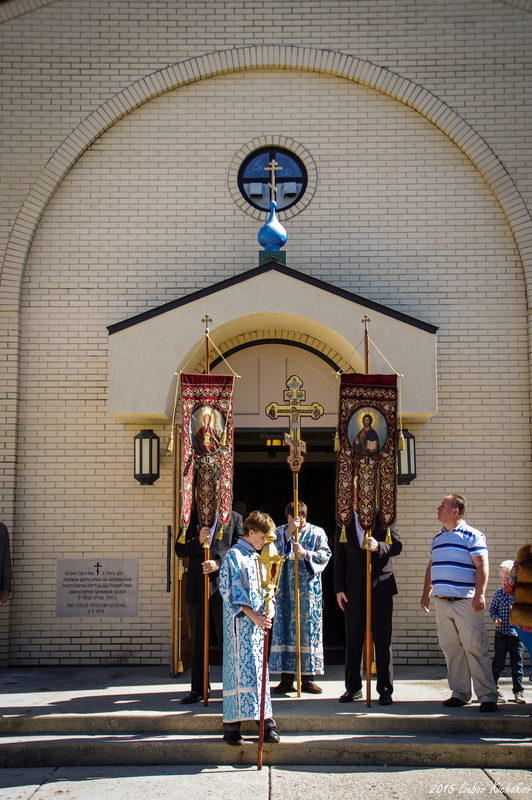 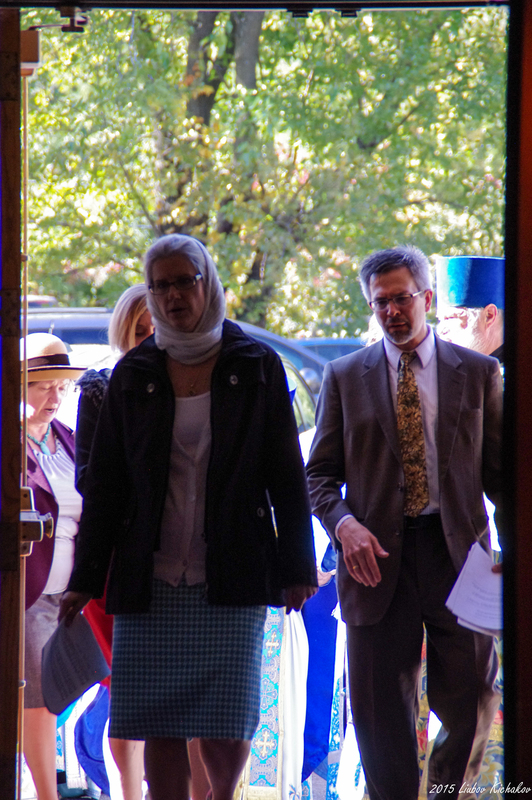 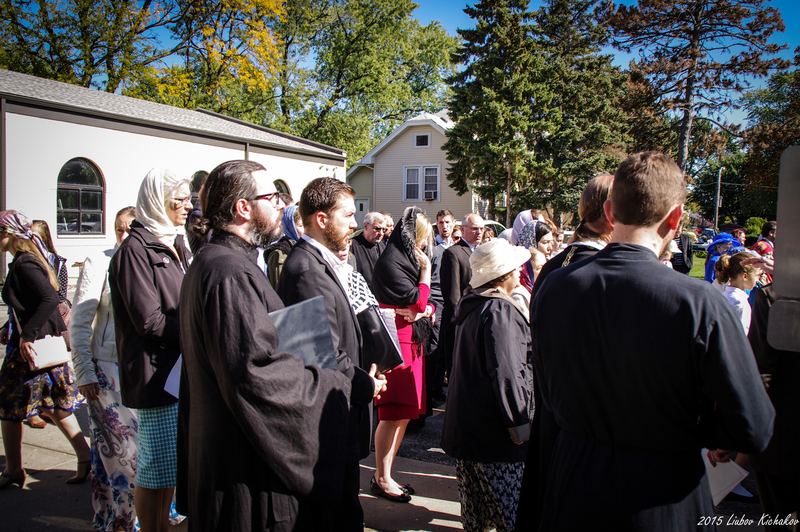 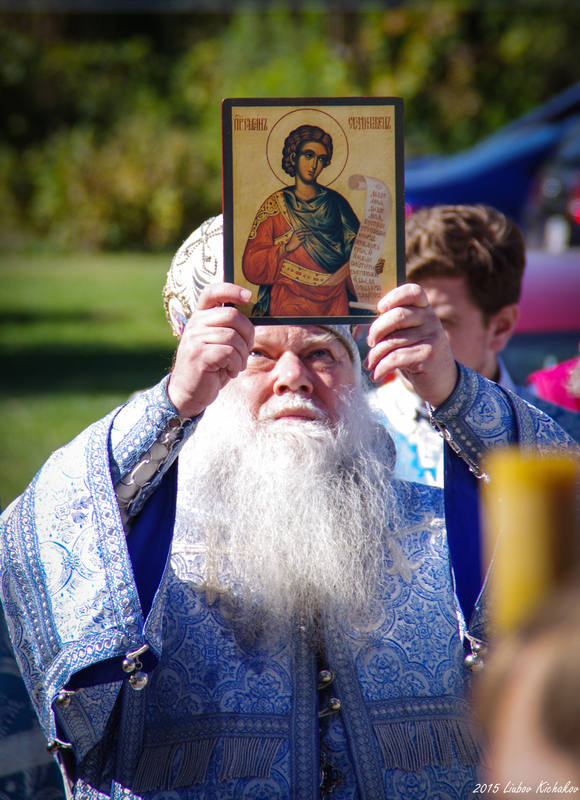 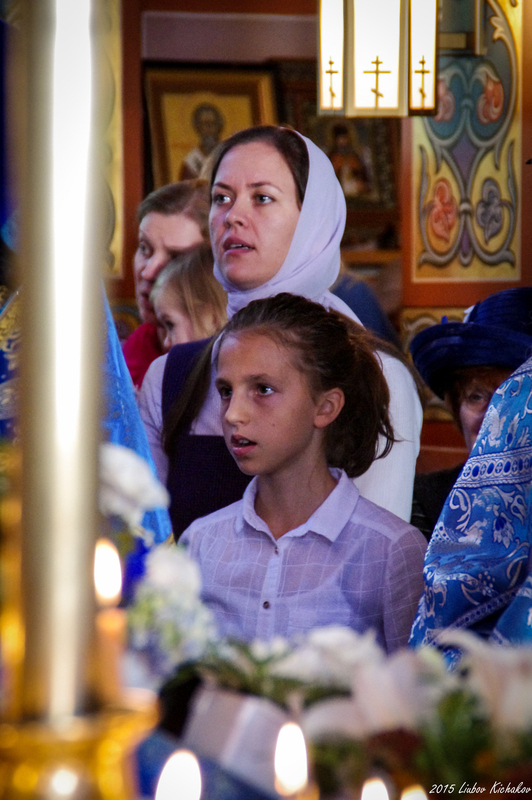 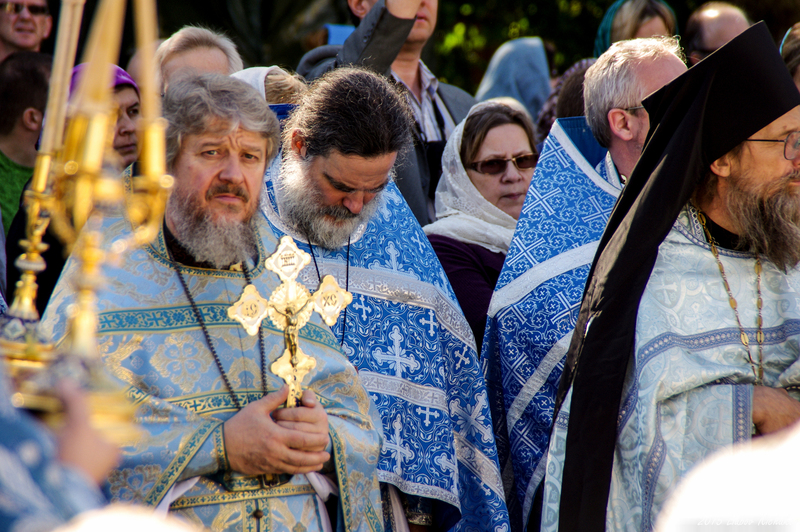 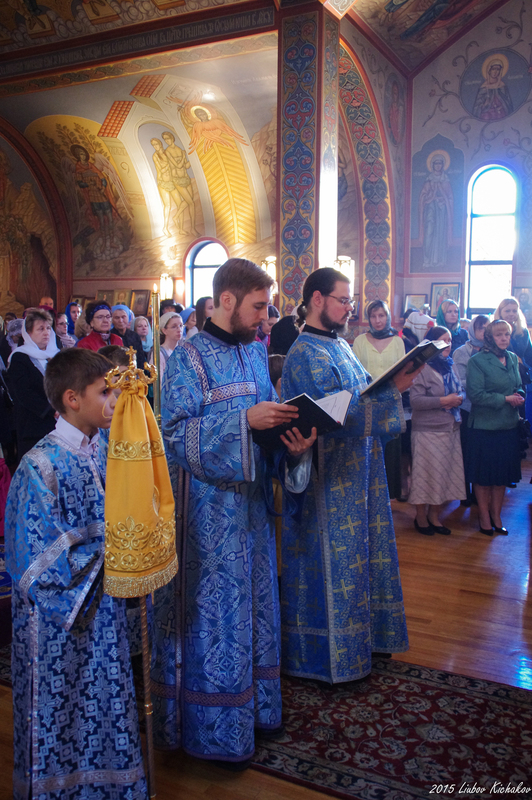 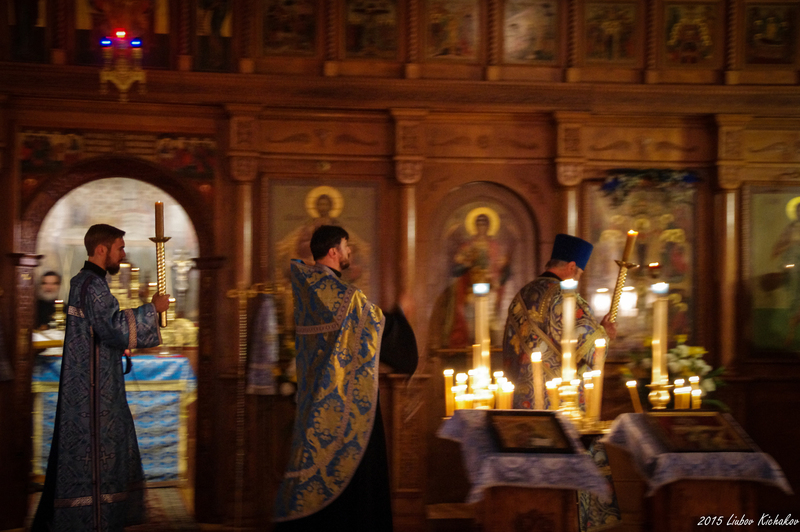 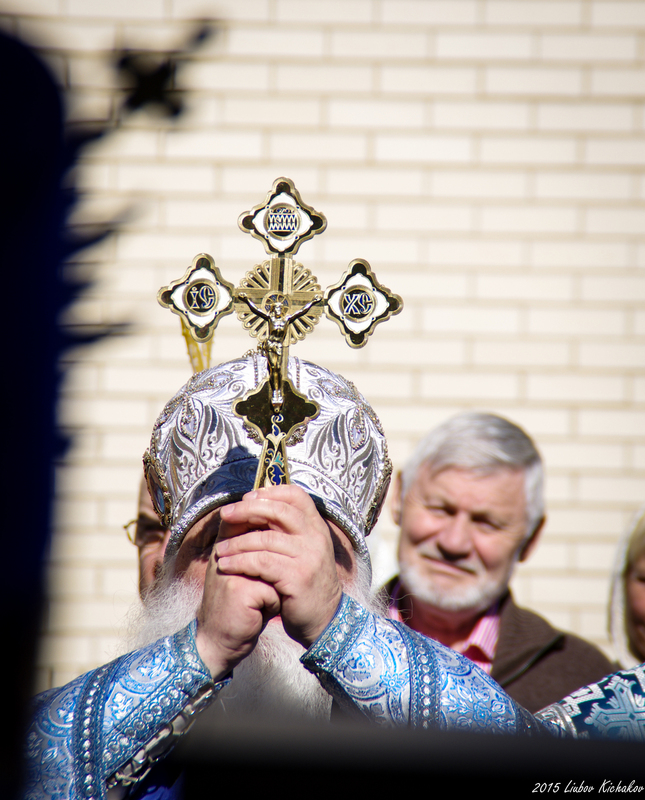 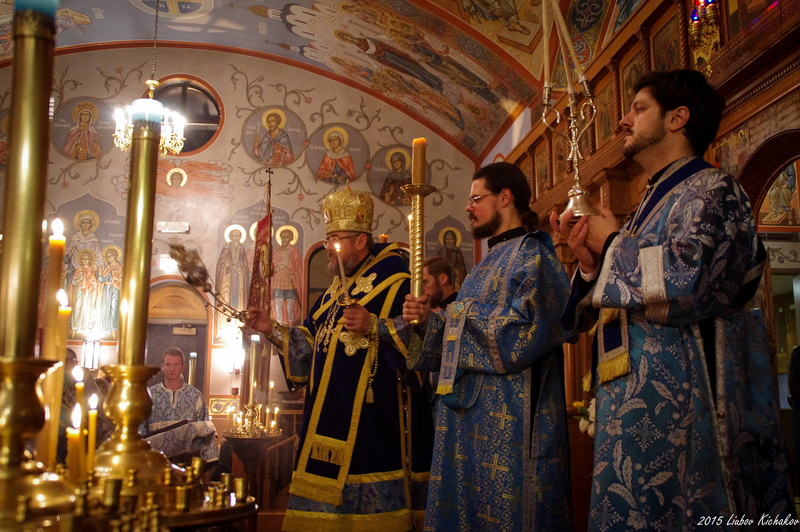 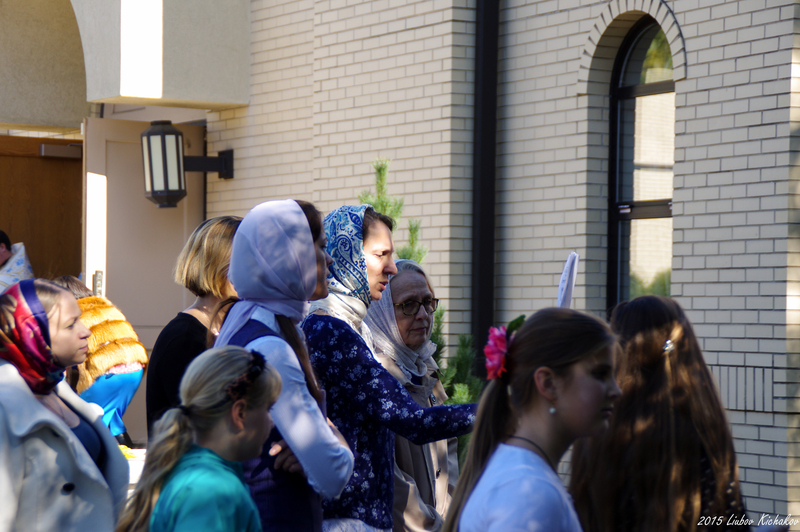 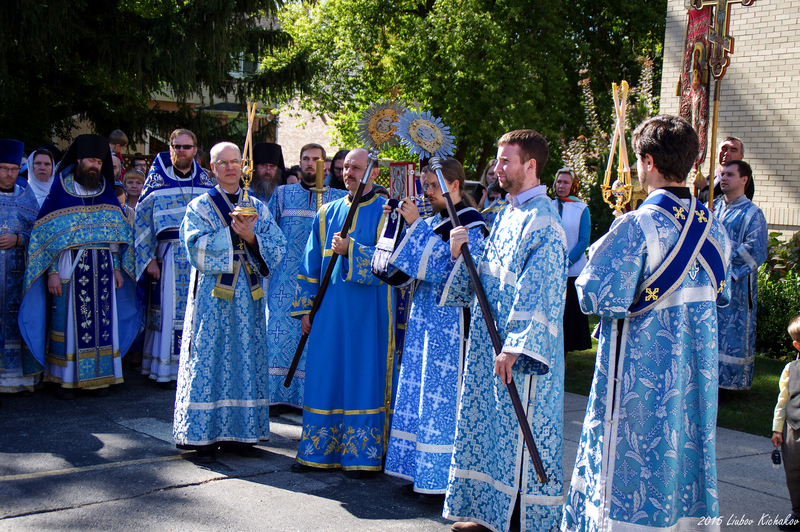 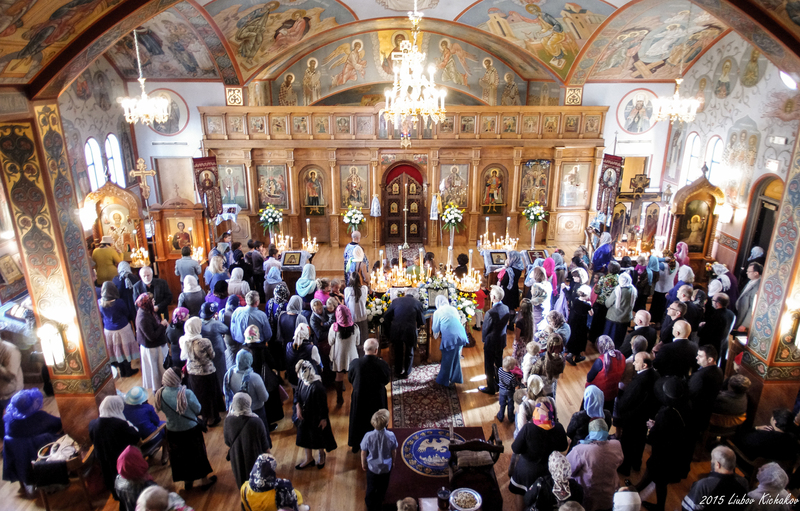 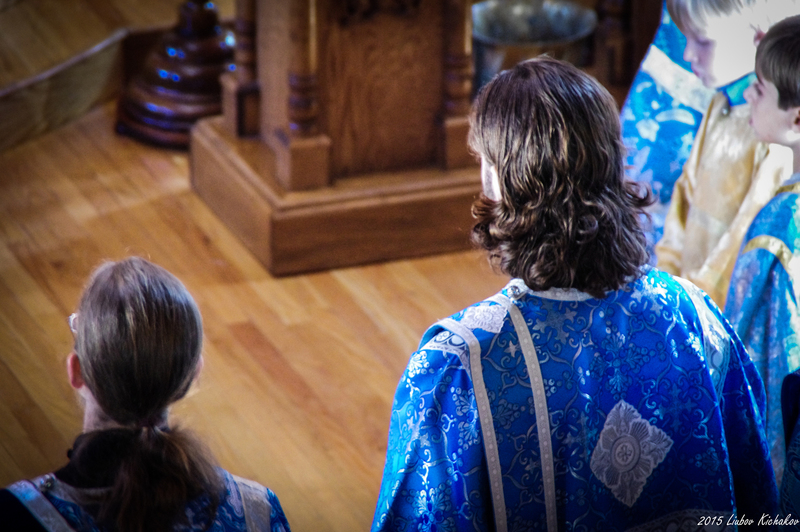 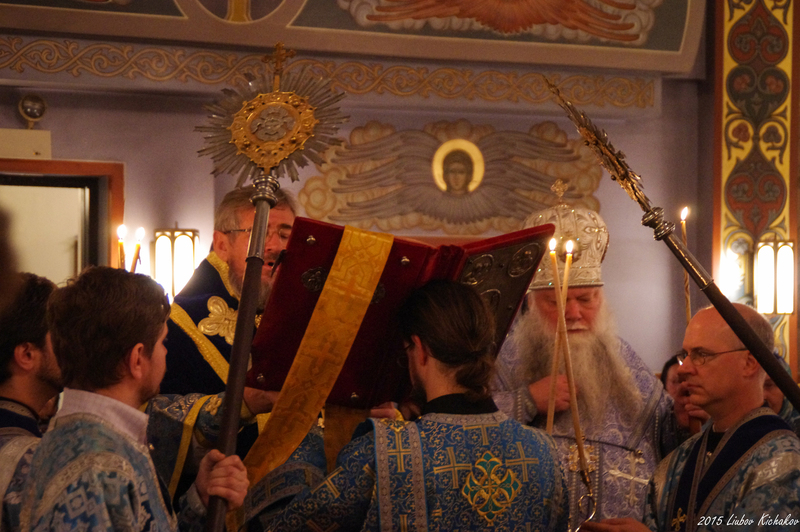 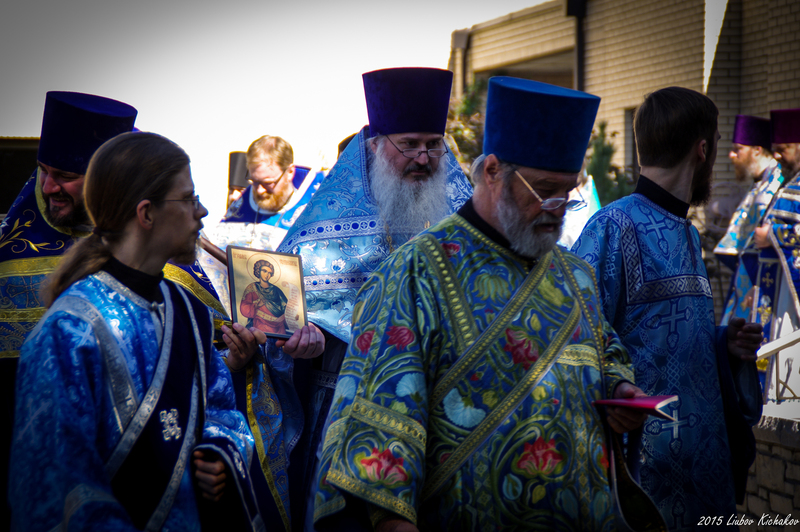 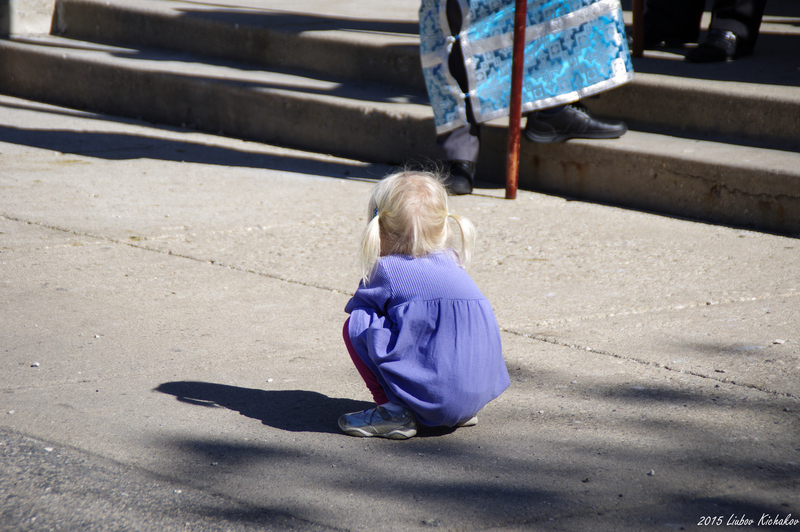 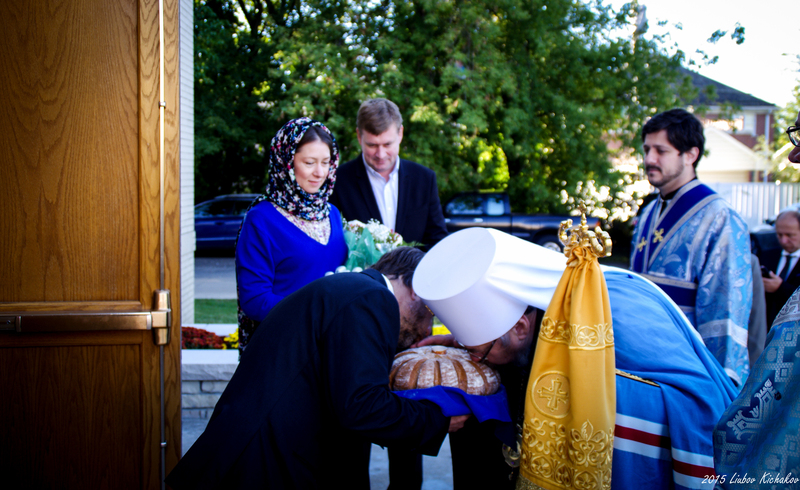 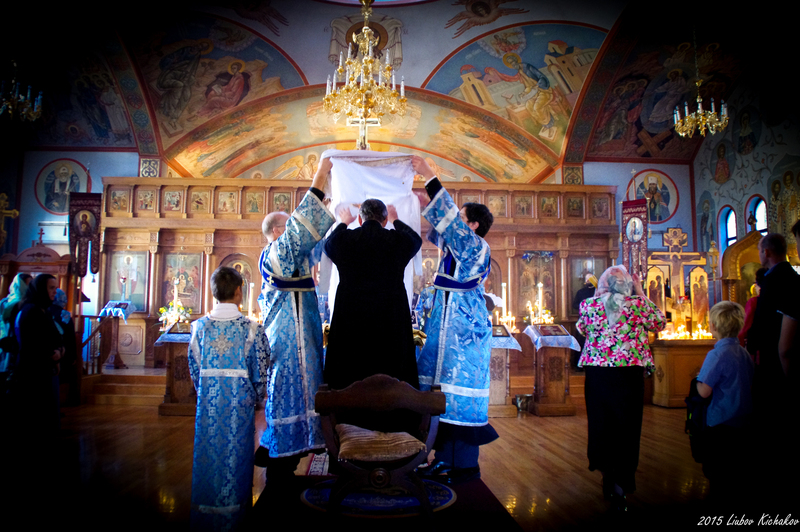 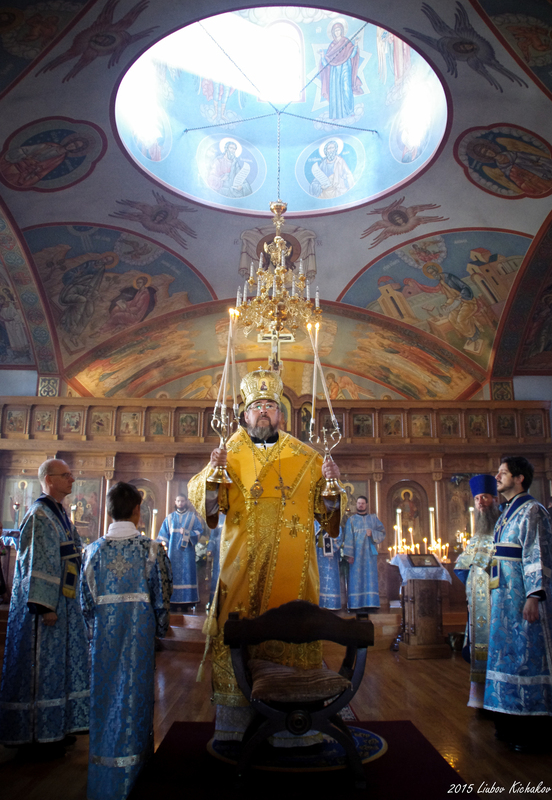 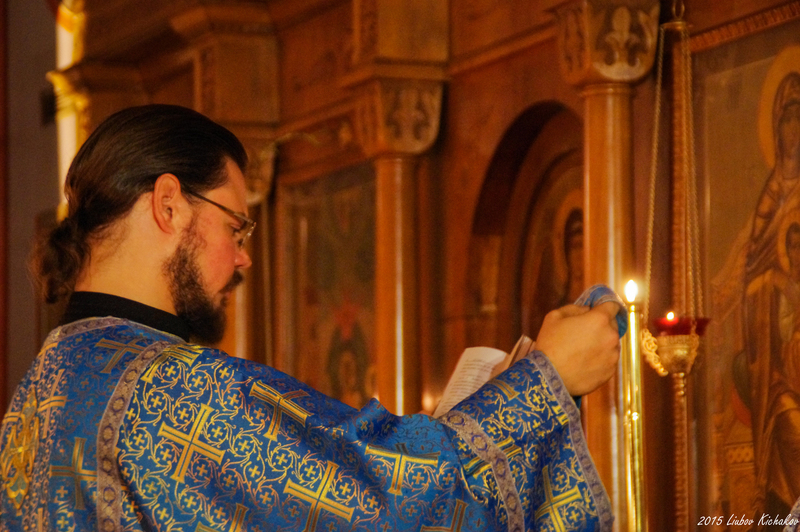 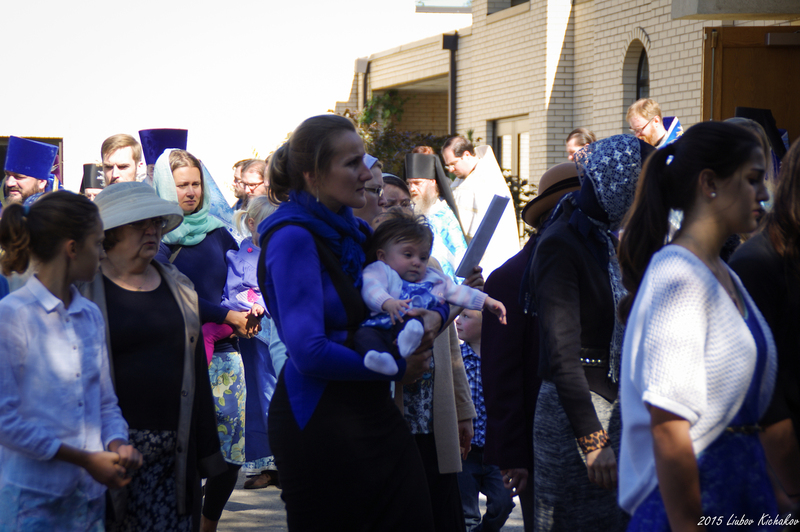 Following the Divine Liturgy at which more than 200 of the faithful partook of the Holy Gifts, the indispensable moleben and procession were held. 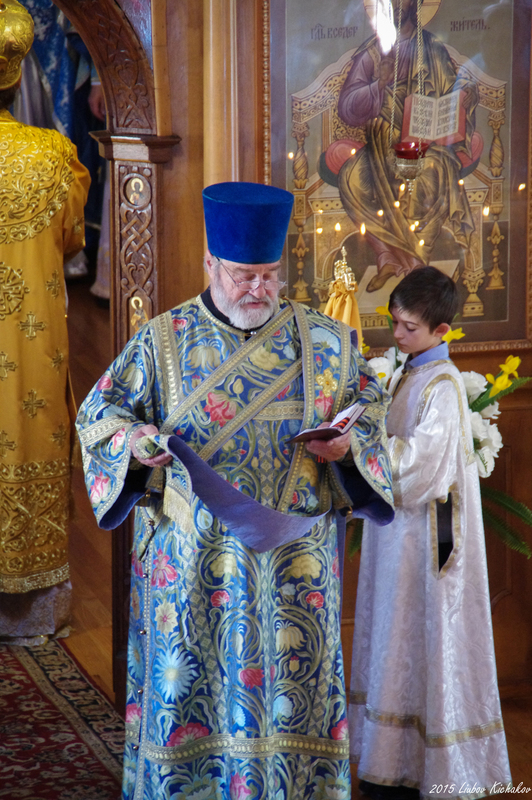 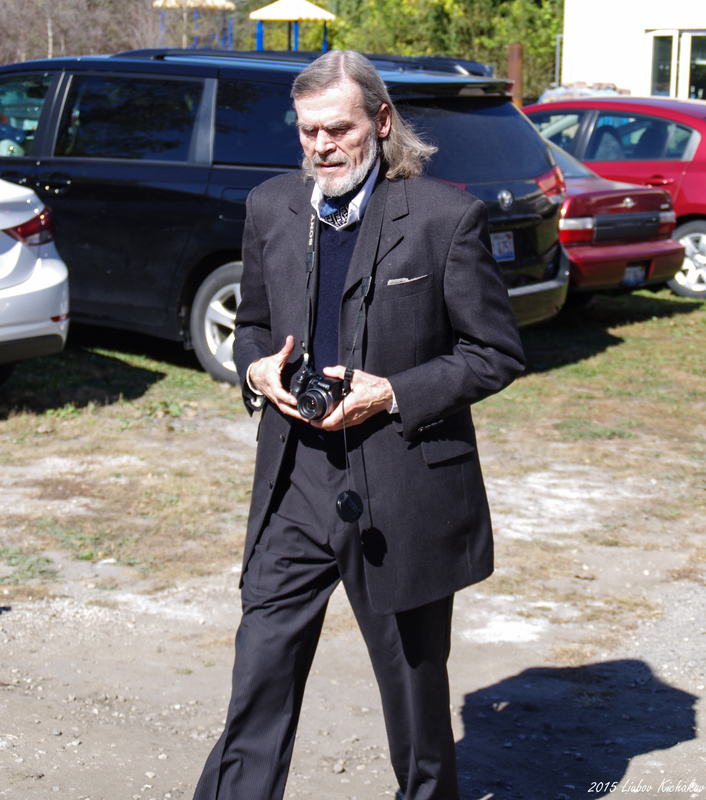 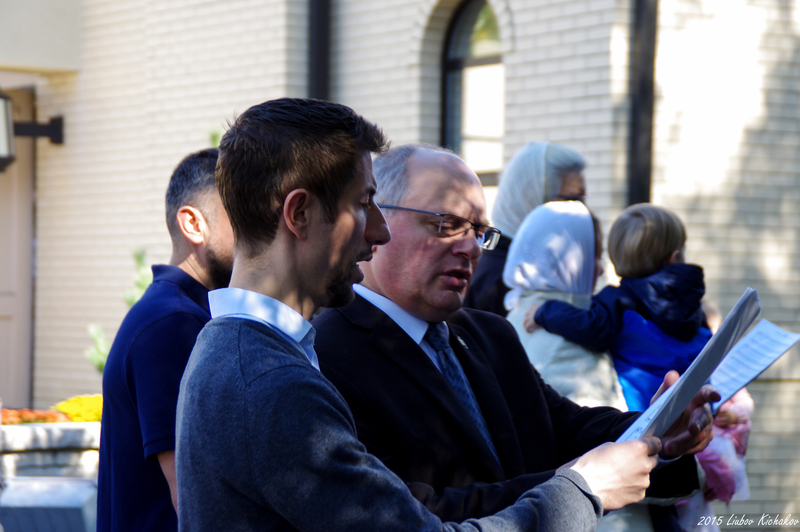 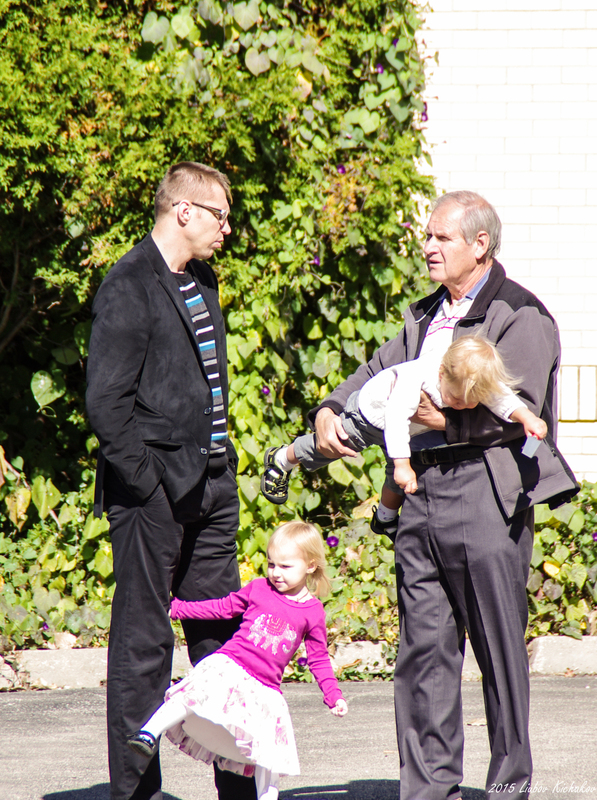 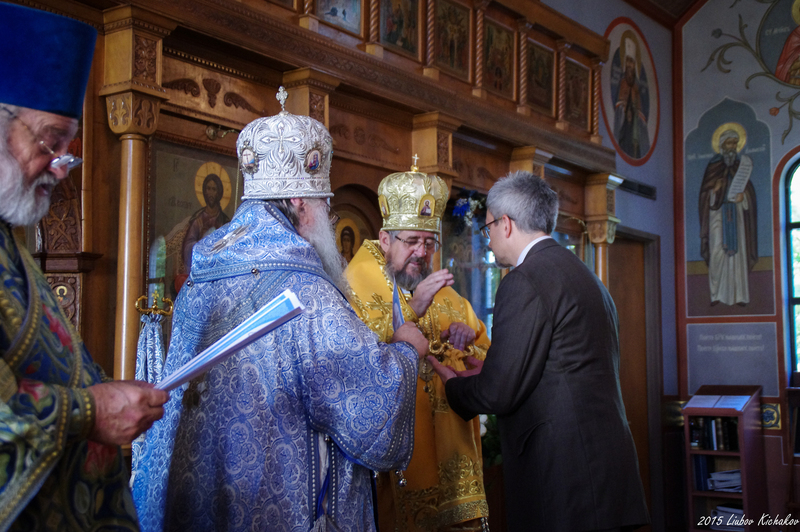 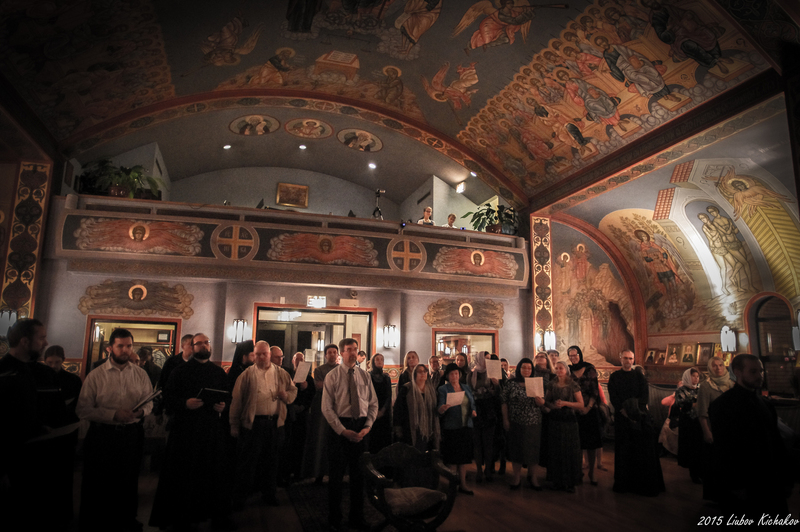 Following the moleben several of the faithful of the cathedral parish were honored with thanksgiving gramotas, while Archpriest Martin Swanson was awarded a synodal gramota for his tireless work as the founder and first Dean of the Pastoral School of Chicago & Mid-America. 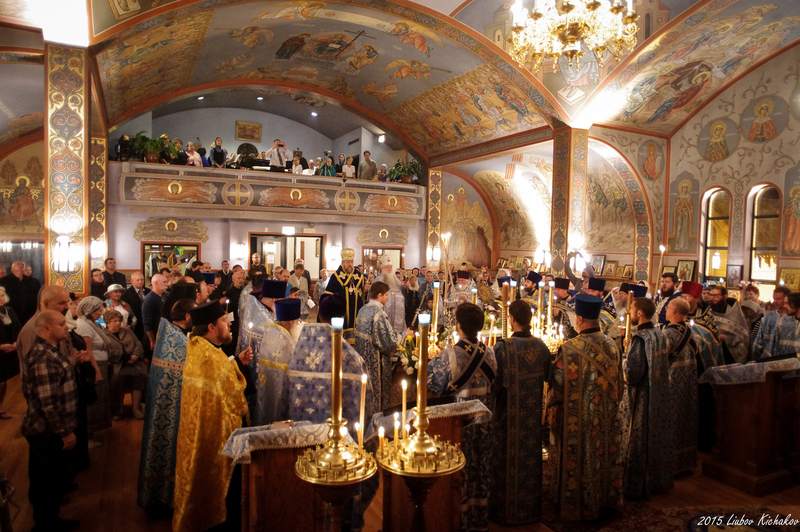 Hundreds then gathered in the cathedral hall to mark this second Pascha in the life of the cathedral with a festive meal. 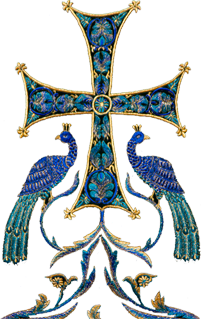 Later that evening delegates were assembled and the Diocesan Assembly began in earnest, with the hope of the Lord's guidance in the work to be accomplished for the good of the diocese and to the glory of God.